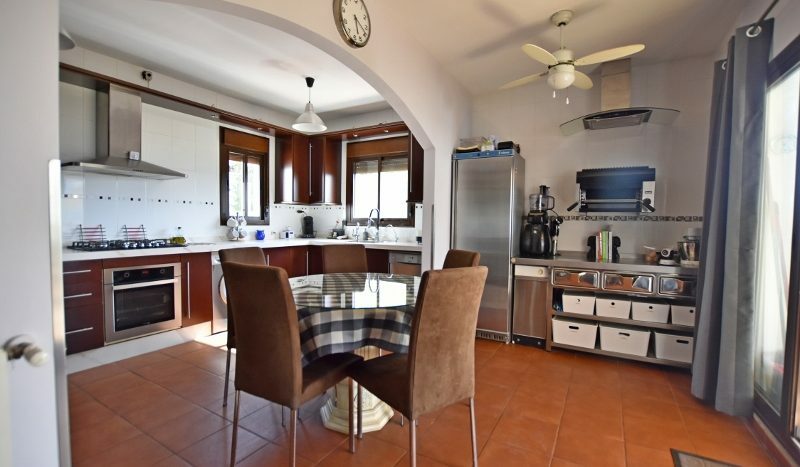 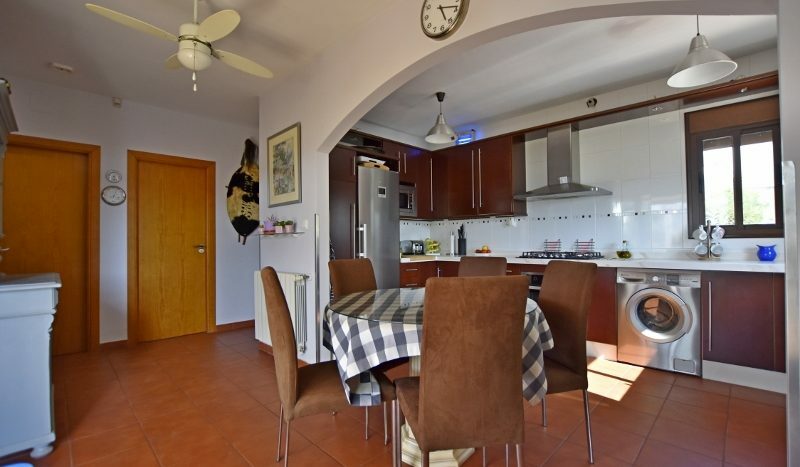 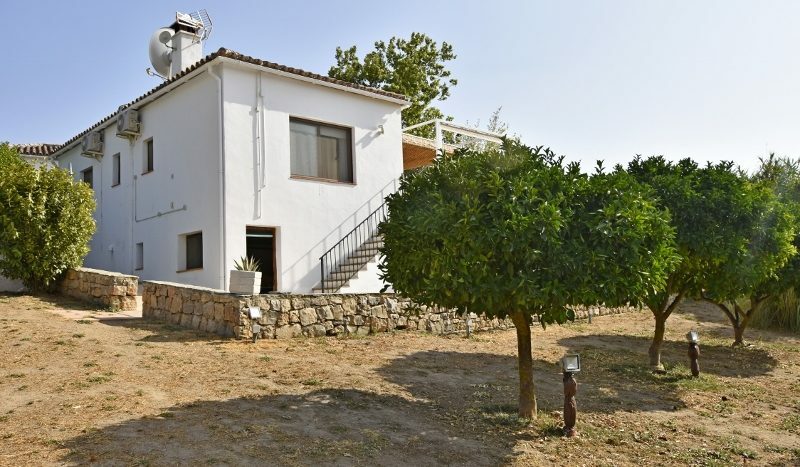 This large home of 280M2 really does offer flexibility and with the self-contained guest house, it is easy to accommodate guests, be they friends, family or even paying guests. 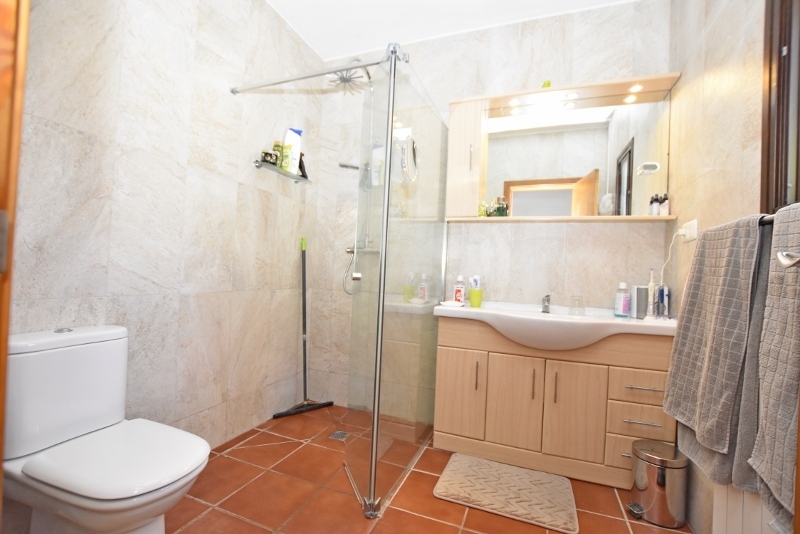 It could also work well for an extended family of those with children who want independence. 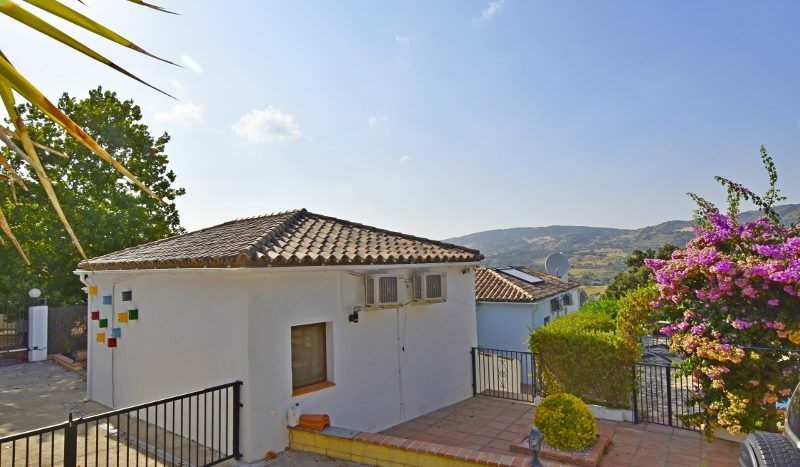 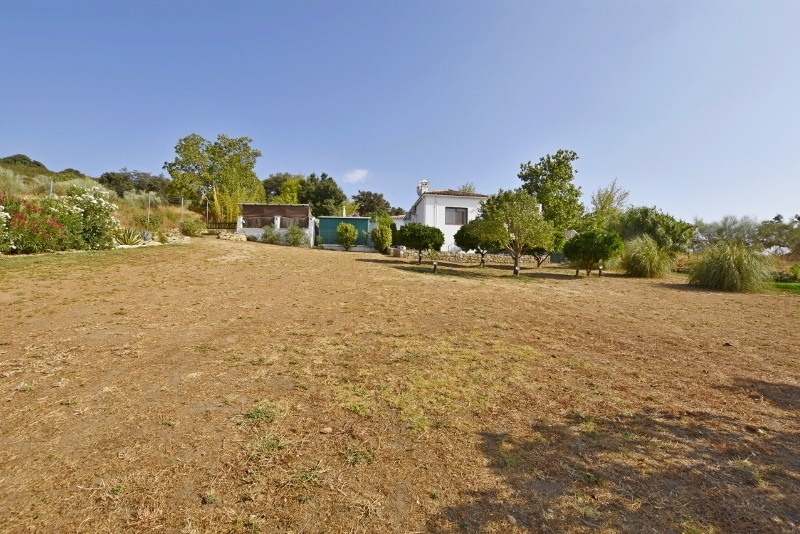 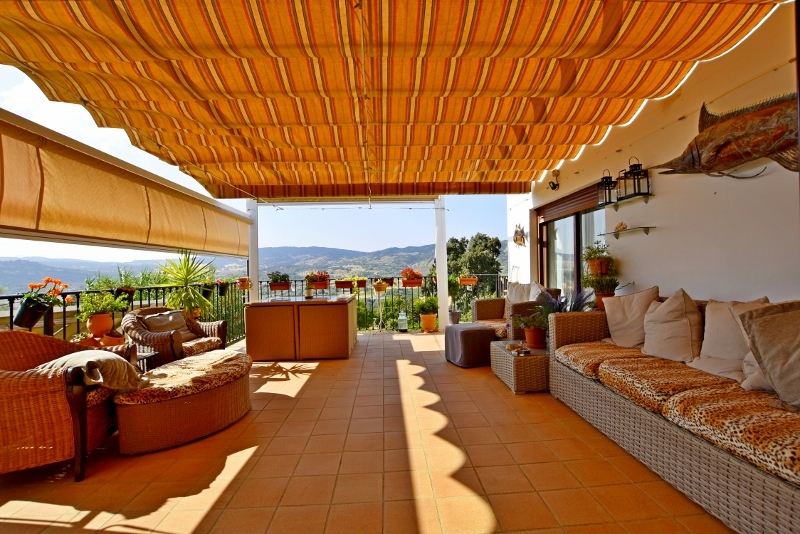 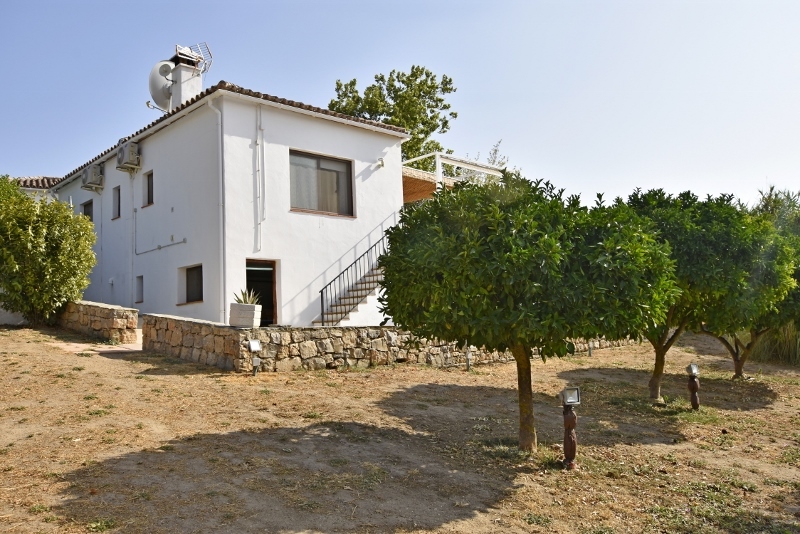 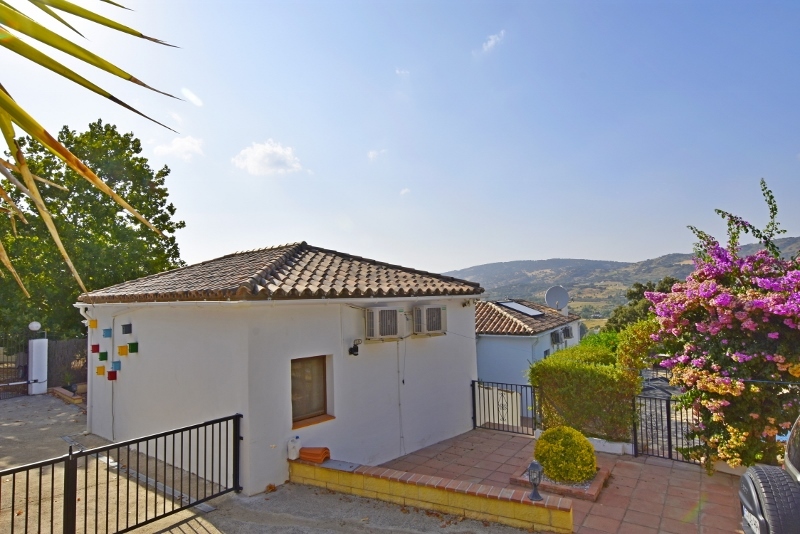 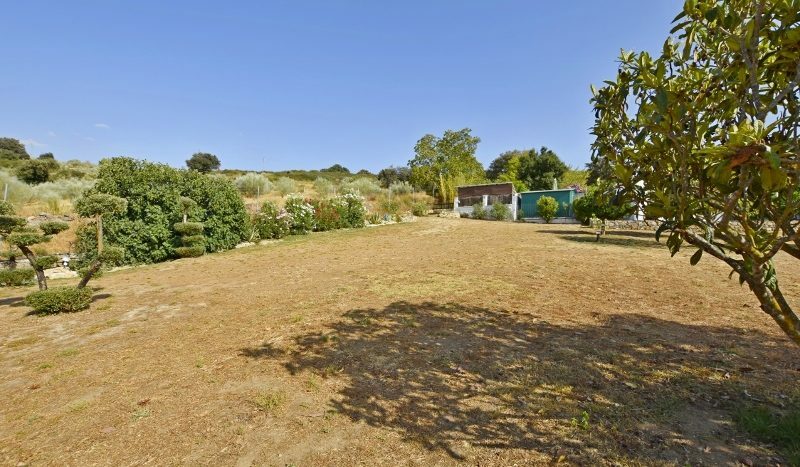 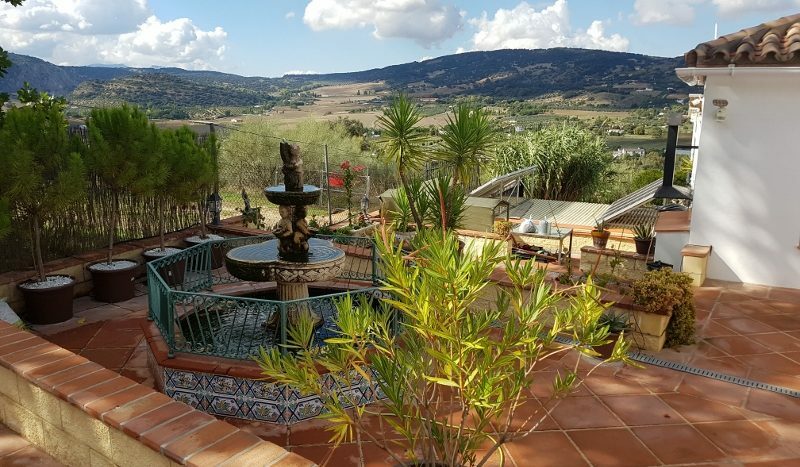 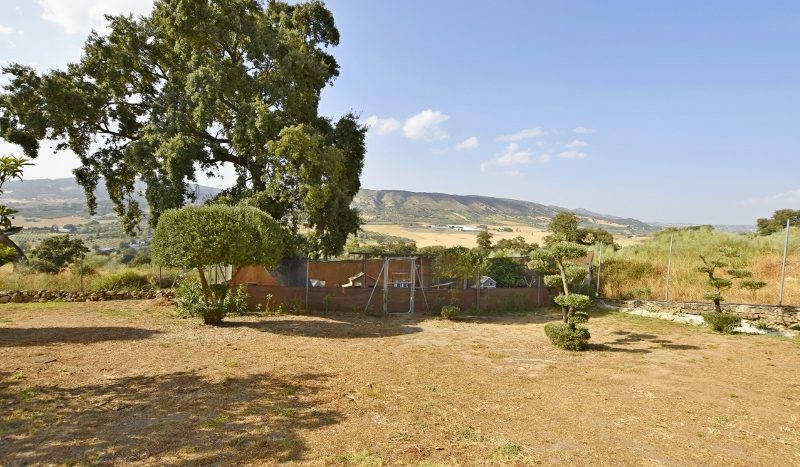 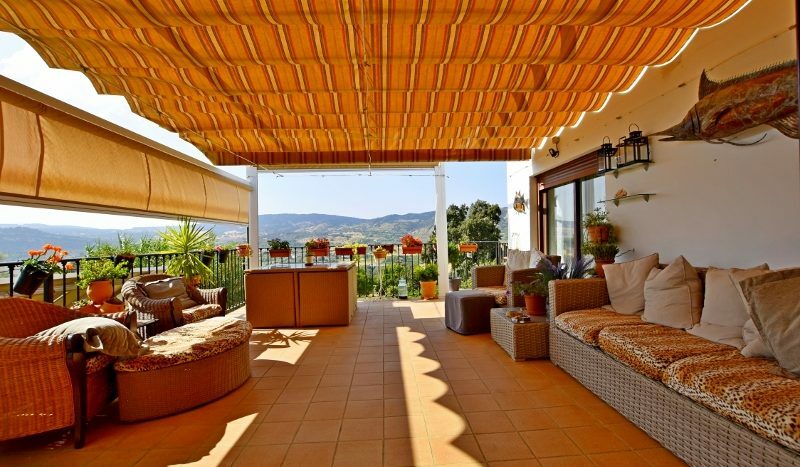 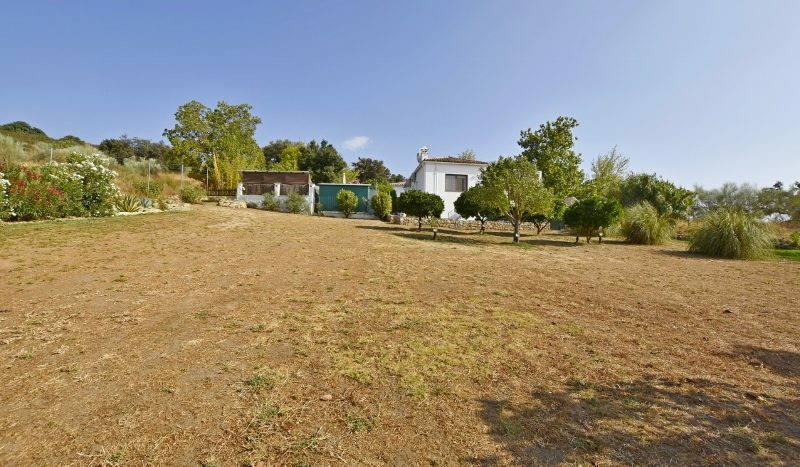 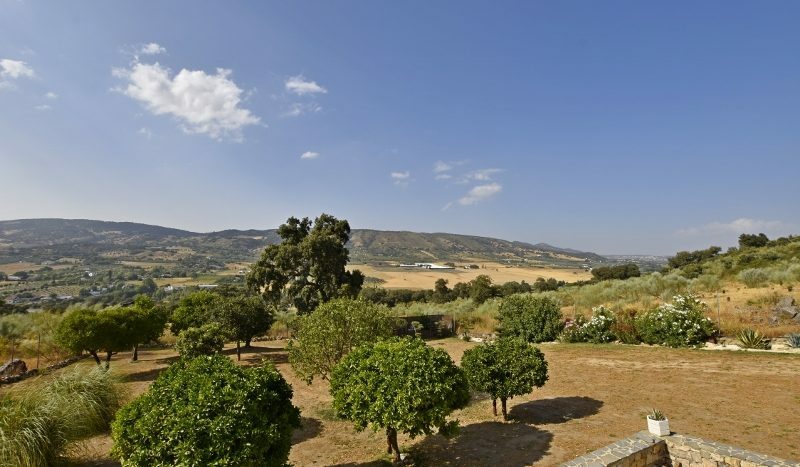 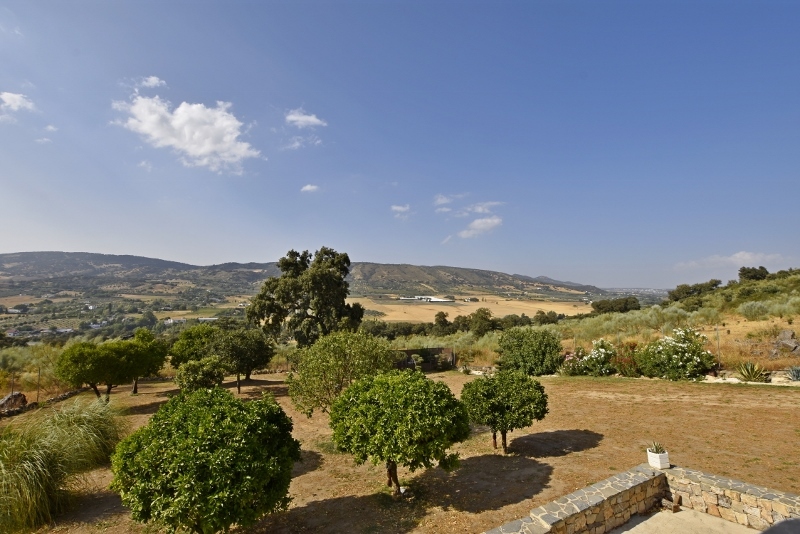 Often a property with such great views and privacy will be tucked away, miles from anywhere accessed by a 5km track – this property is actually located just 3mins drive from Ronda, 2.5km away. 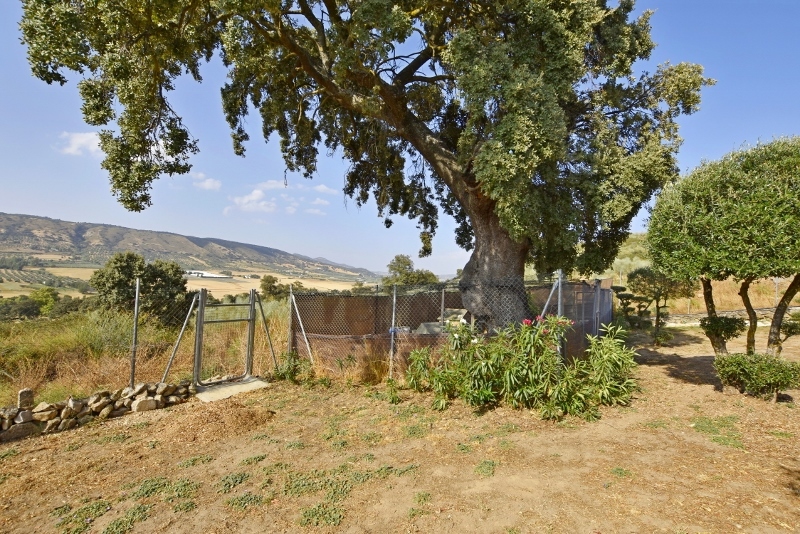 Completely rural in the middle of a protected area of ancient woodland where the nearest neighbour is over ¾ km away and with stunning views, this property really does offer the best of both worlds. 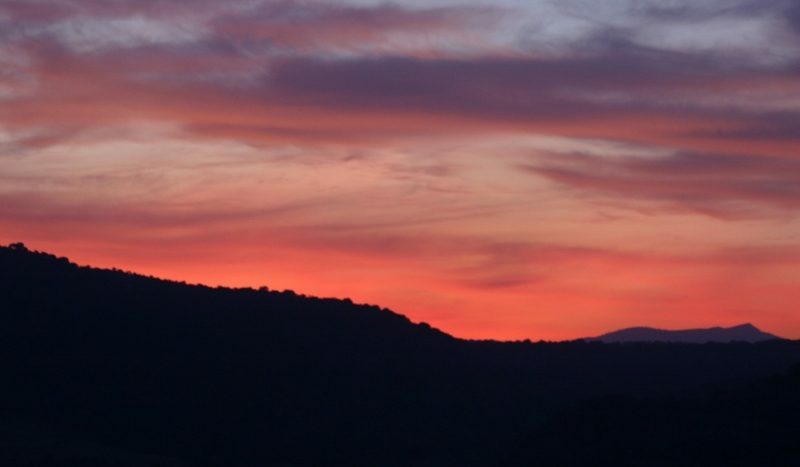 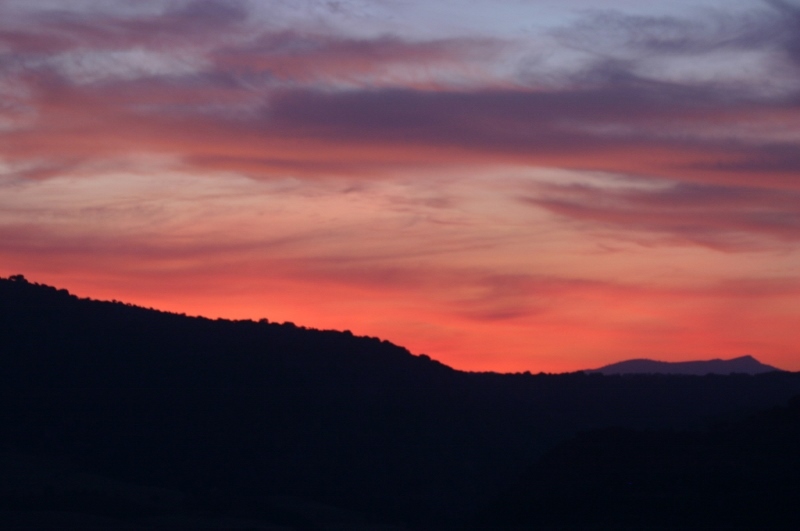 Due to its West facing aspect, the house enjoys the most incredible sunsets and mountain views to the north west. 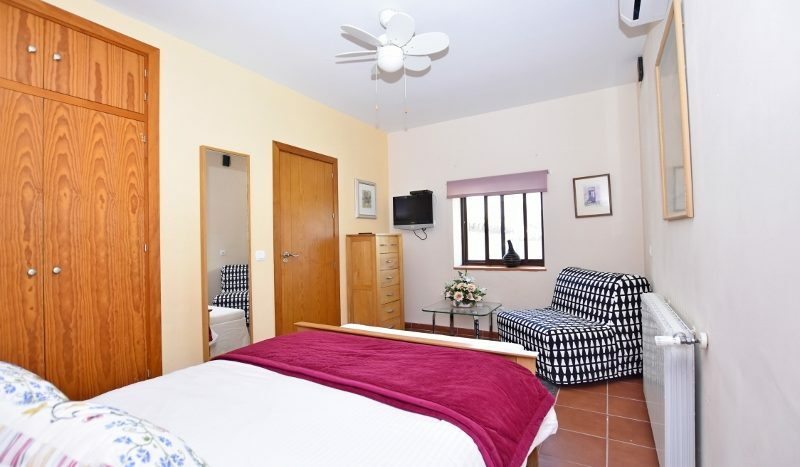 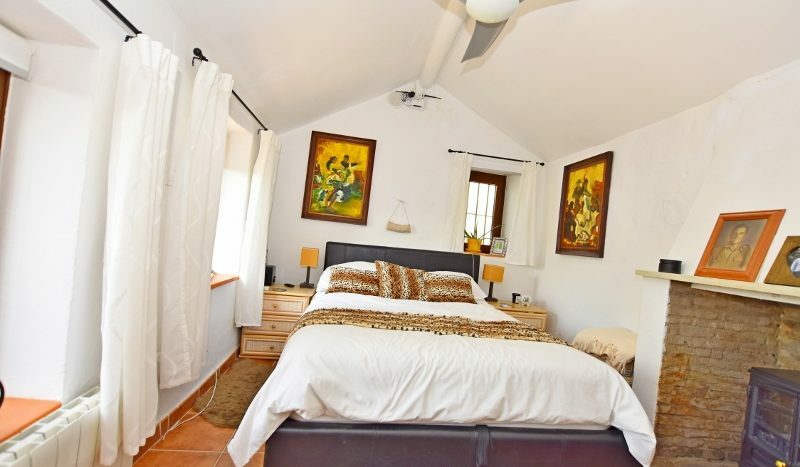 The property consists of a 3 bedroom main house and a separate 2 bedroom guest house. 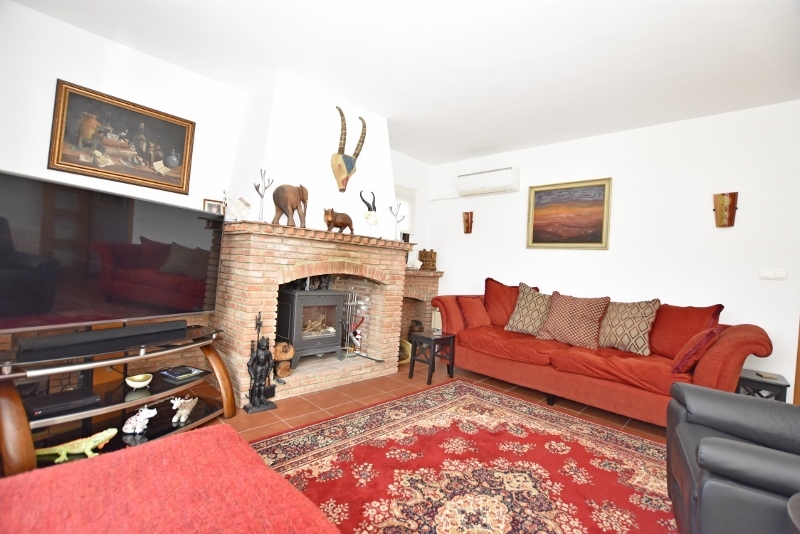 Both properties are completely independent with 4/5 double bedrooms, 2 kitchens, 3 bathrooms, 2 living rooms and plenty of outside space to enjoy the views. 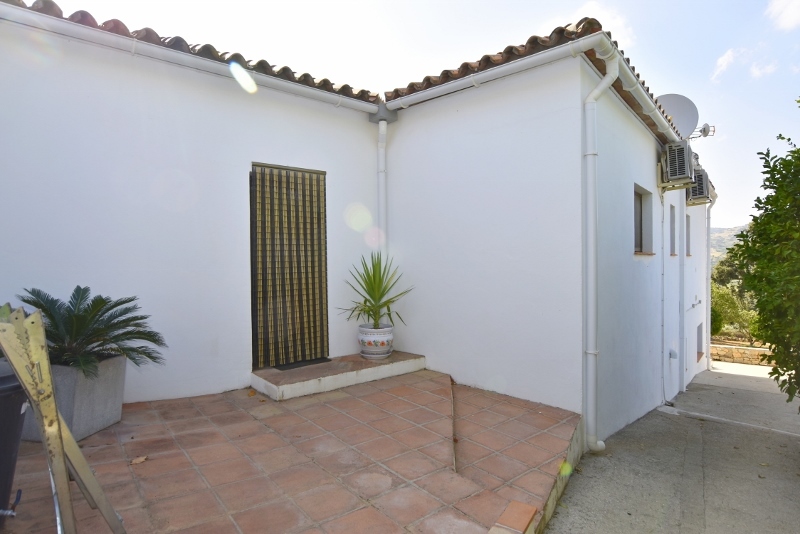 The property has been sympathetically reformed over the last ten years by the current owners and benefits from low overheads. 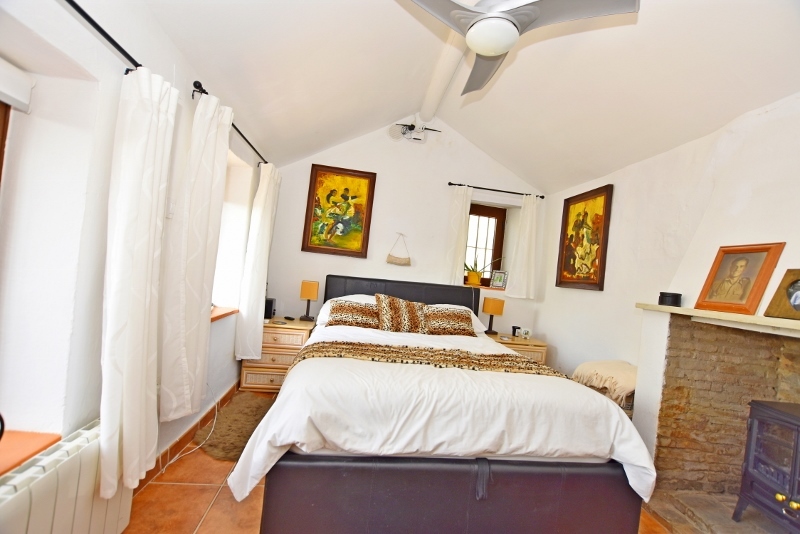 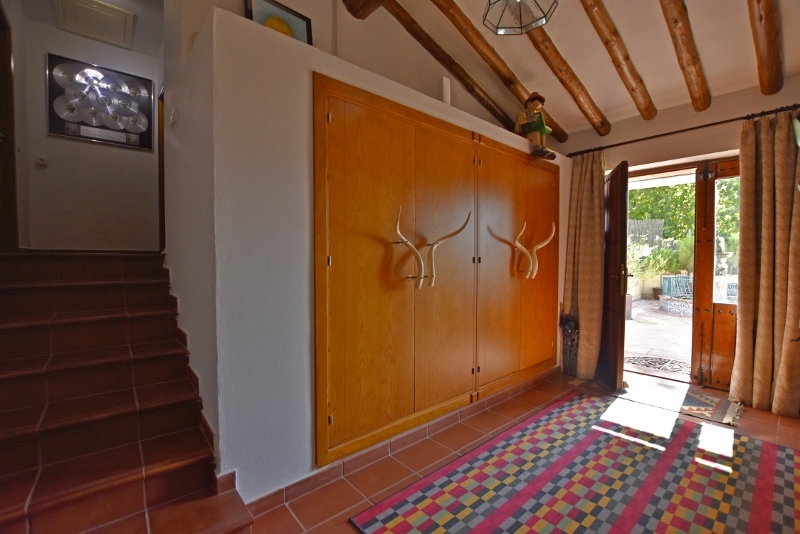 The Main House comprises 3 double bedrooms and the Master bedroom benefits from an en-suite bathroom. 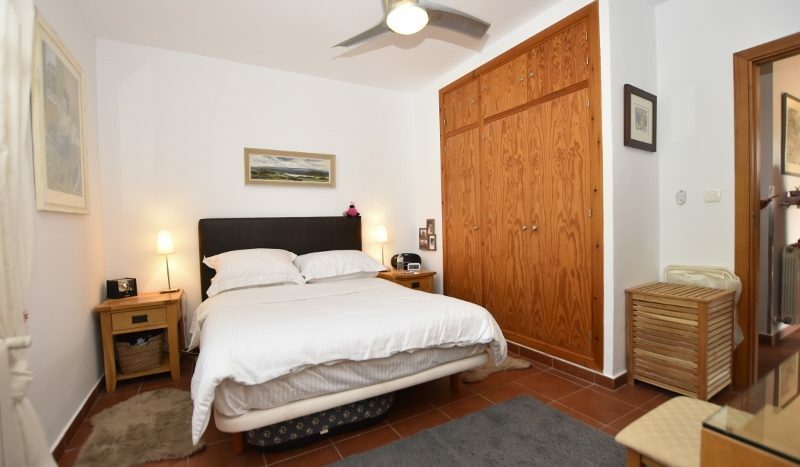 All of the bedrooms have built in wardrobes. 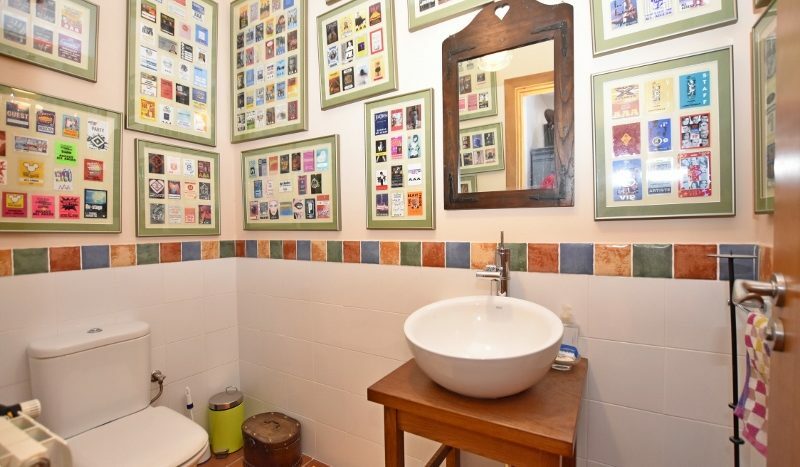 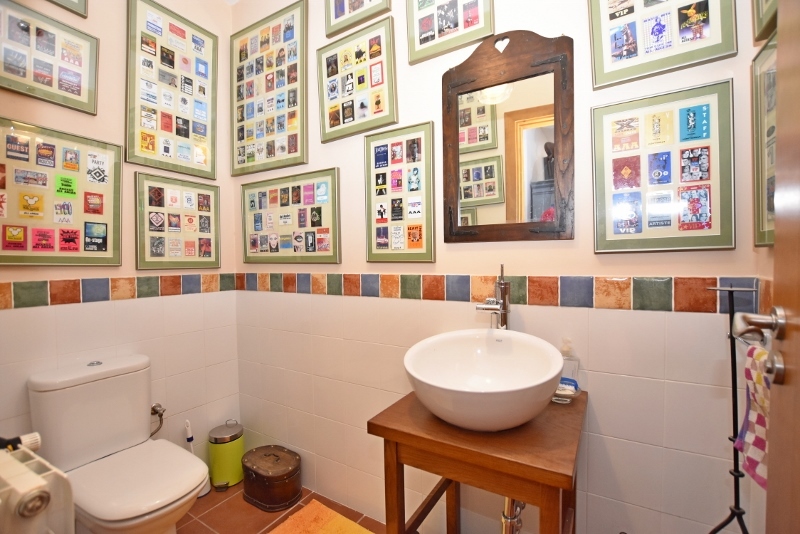 There are 2 ½ bathrooms including the en-suite. 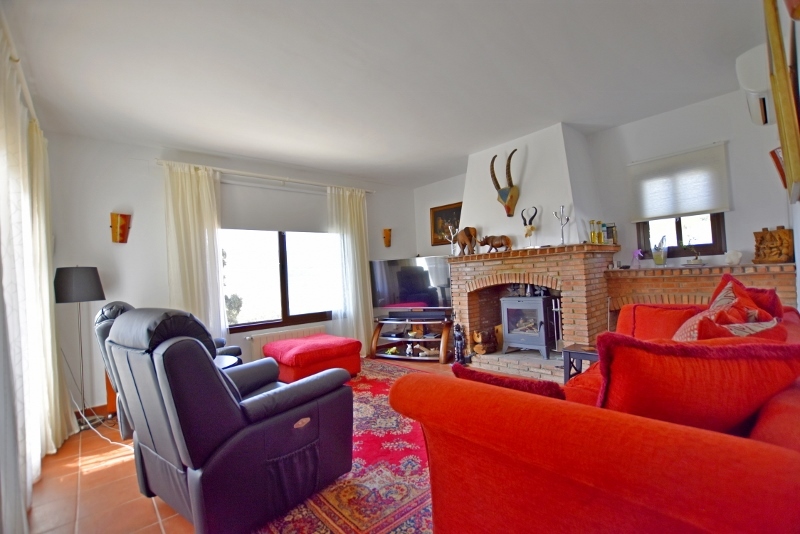 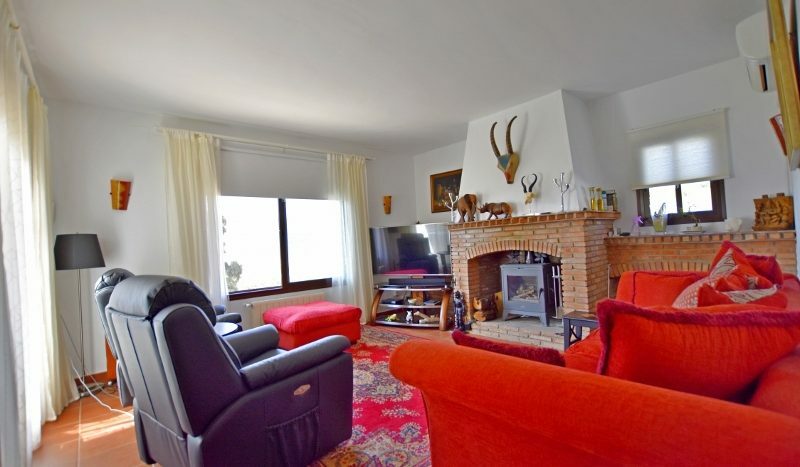 The living room is triple aspect and make the most of the views across the surrounding countryside. 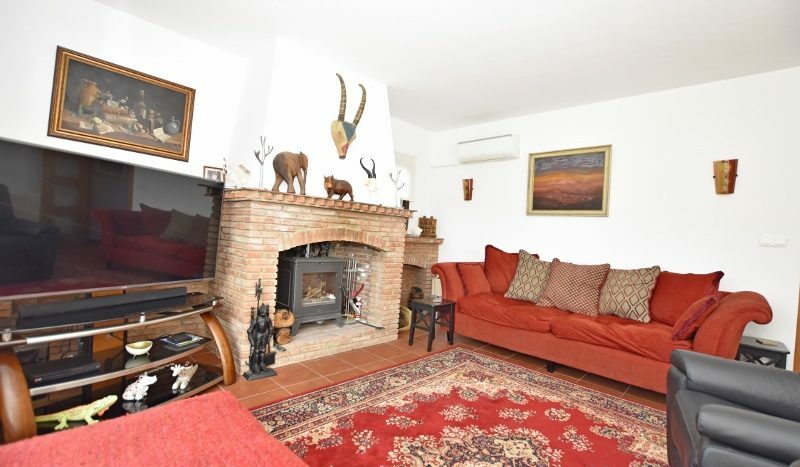 A log burner gives the room a focal point. 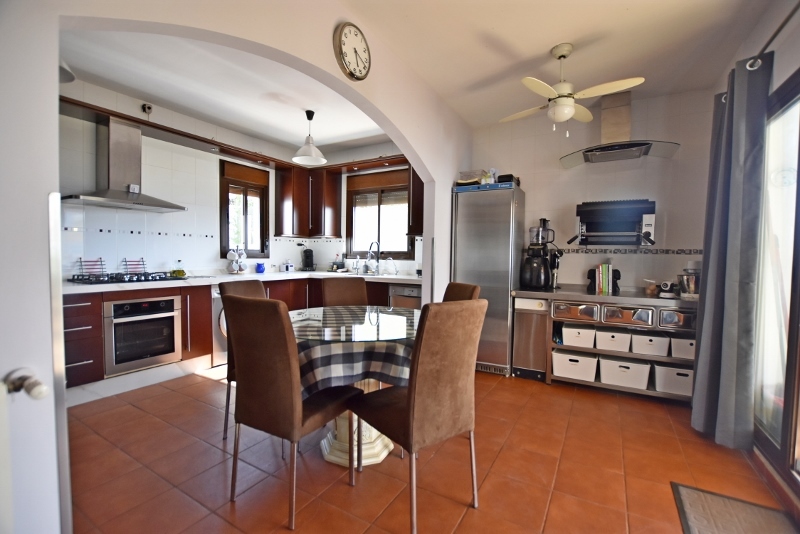 The large modern fitted kitchen and dining room is well fitted and has a hot water tap, a purified drinking water system, dishwasher, hob, washing machine, oven, fridge-freezer, microwave, Salamander grill, Franke sink and flexi-tap, Broan waste-compactor. 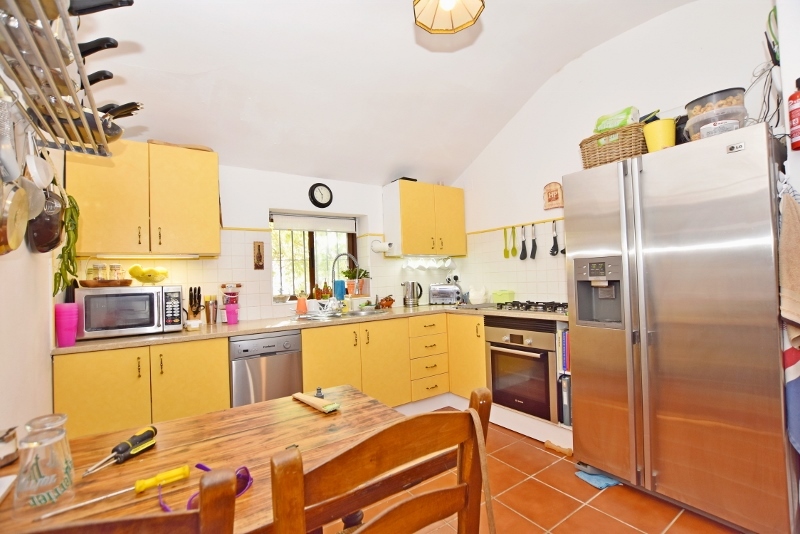 A separate stainless-steel food preparation area and dining space has access to the terrace. 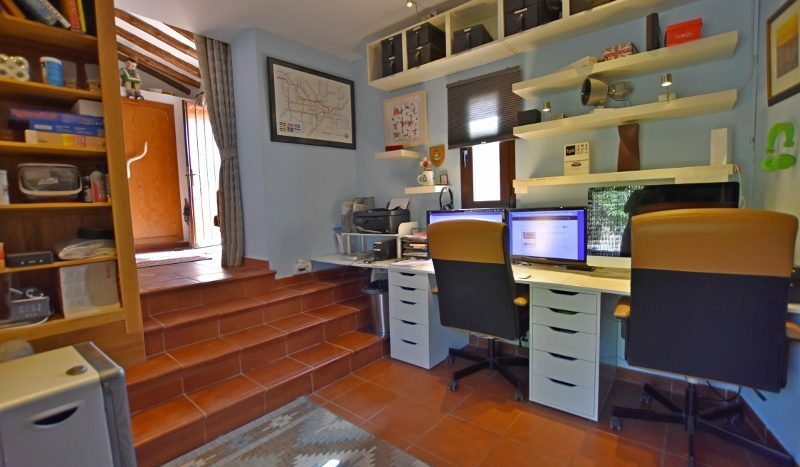 A separate office makes home working a treat. 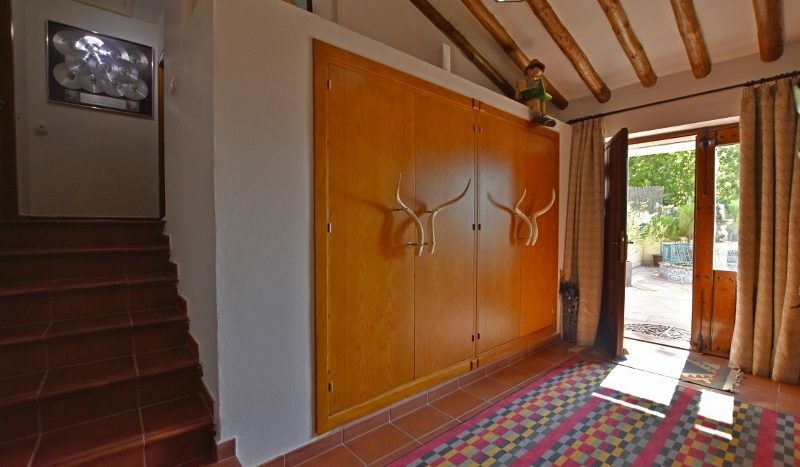 A large lobby with large wardrobes/storage. 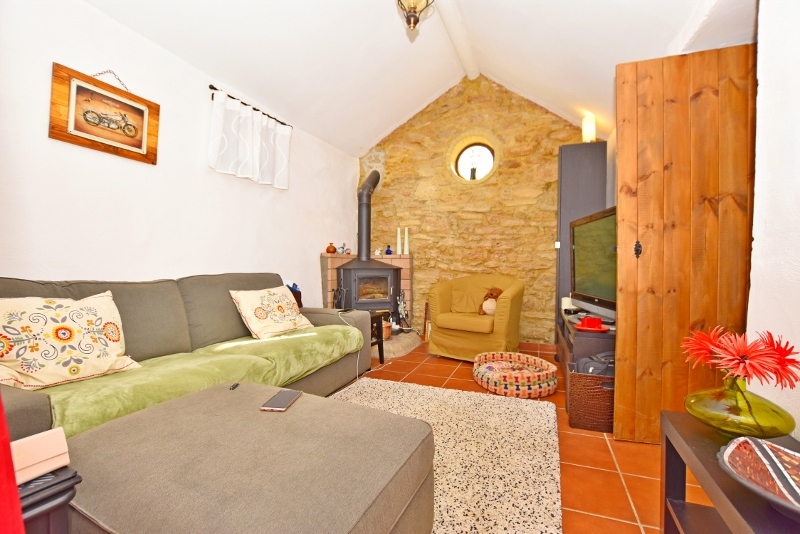 The self-contained guest house comes with 2 bedrooms, a dressing room, a bathroom and a living room with log burner. 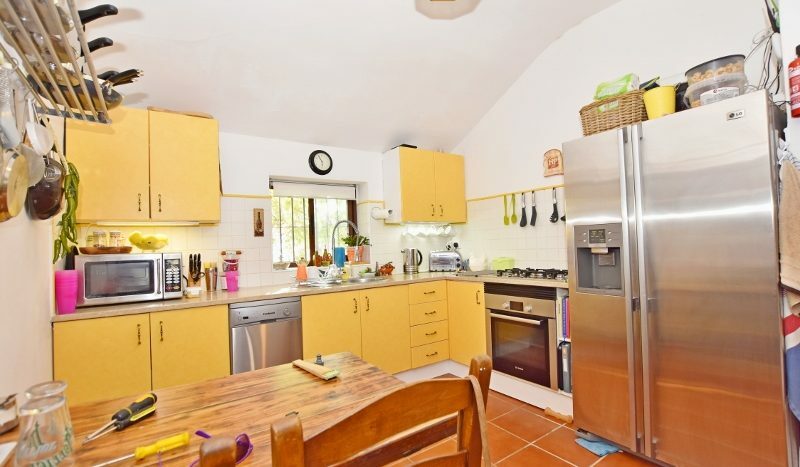 A fitted kitchen gives guests complete independence and comes with plenty of storage, a hob, oven, American fridge freezer and dishwasher. 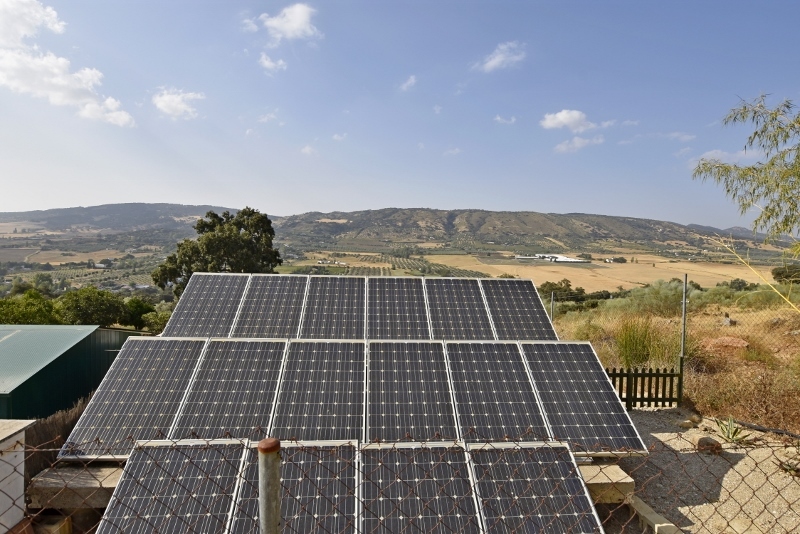 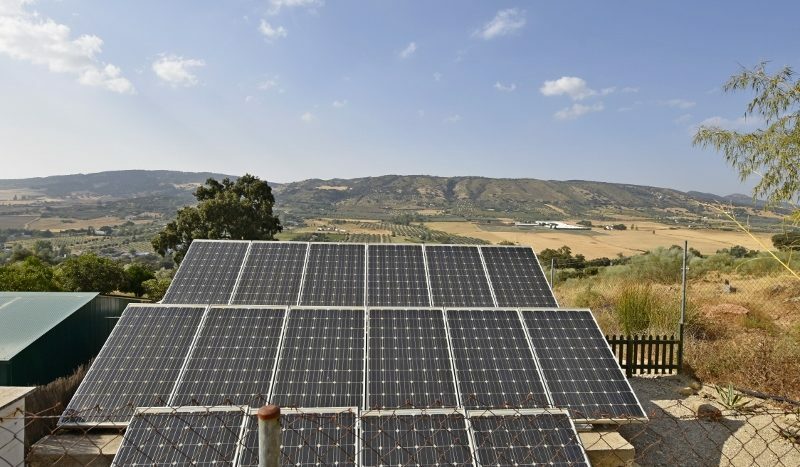 ♦ Solar PV panels – reduces the running costs of the property but mains electric too! 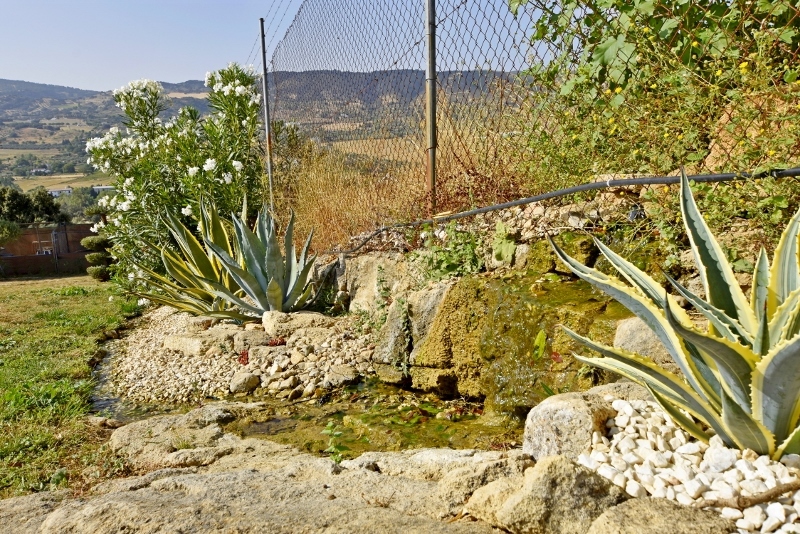 ♦ Spring water – filtered and an endless supply – back up deposit of 3,000ltr. 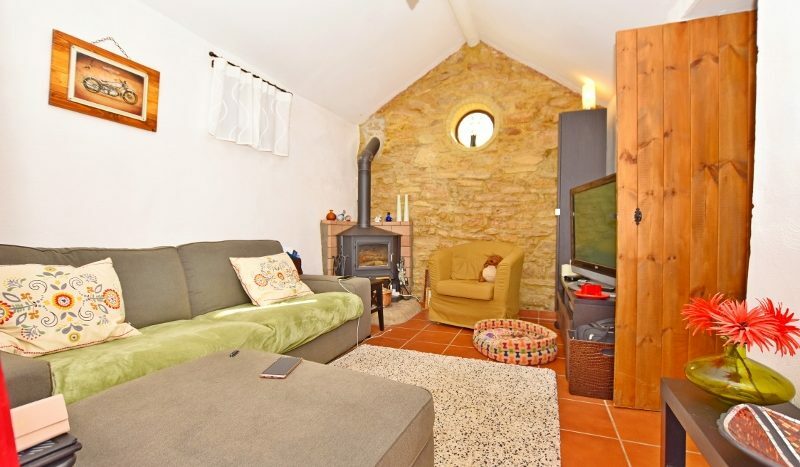 ♦ Oil fired central heating – ensures comfortable year round use. 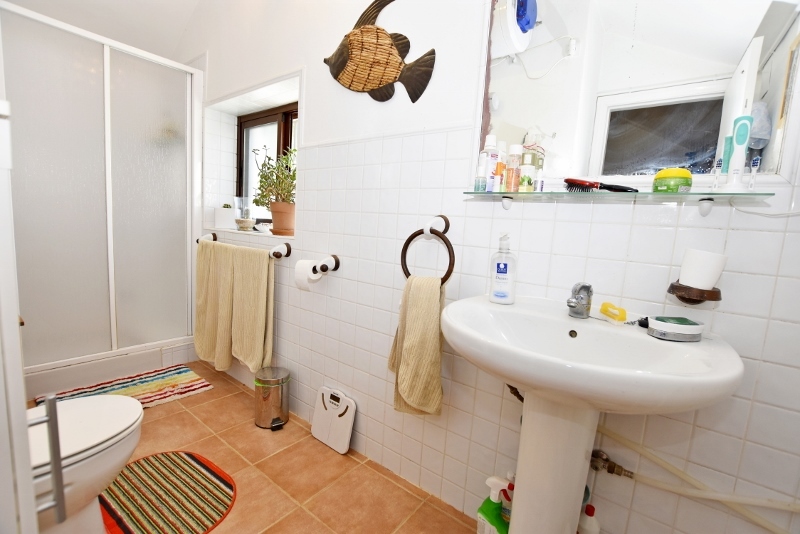 ♦ All furnishings/electrical goods are subject to negotiation. 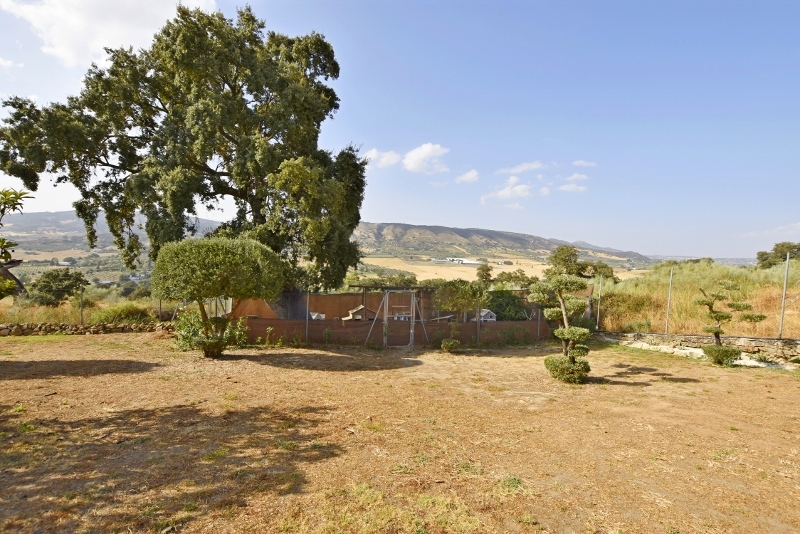 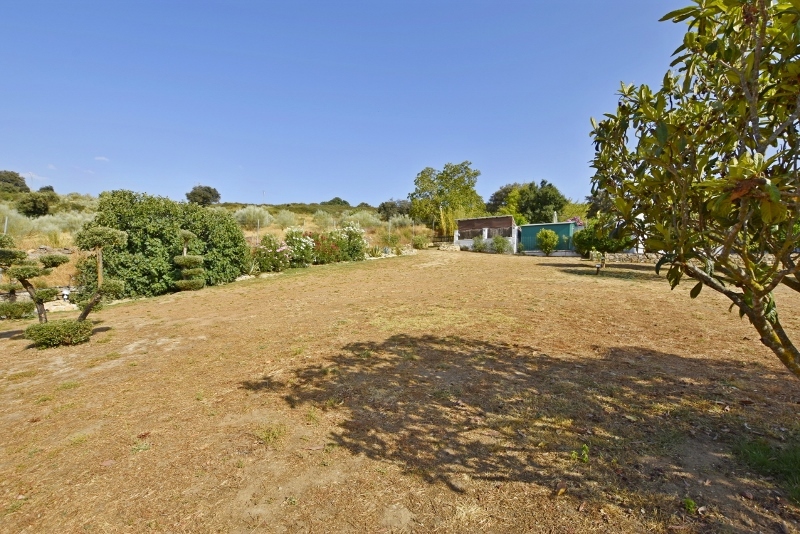 The garden is easy to maintain and being less than an acre in total, the property has the benefits of a country setting without the maintenance normally expected with a property such as this. 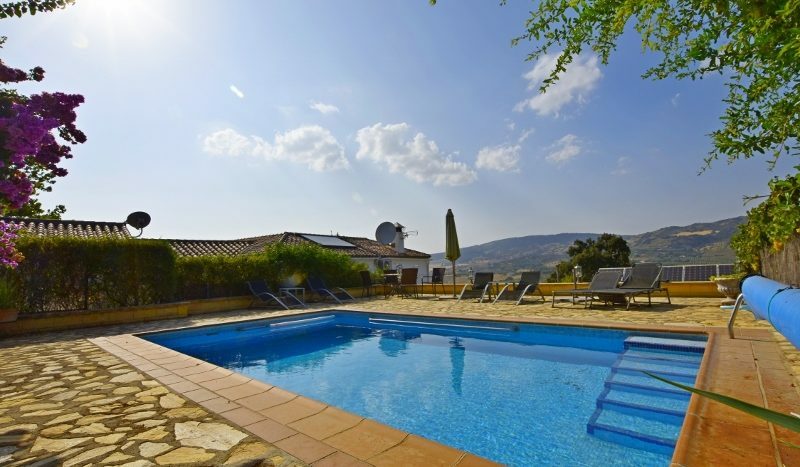 The swimming pool is a delight – fully tiled and licenced, it measures 7m x 4m with tiled surrounds and fenced in for child safety. 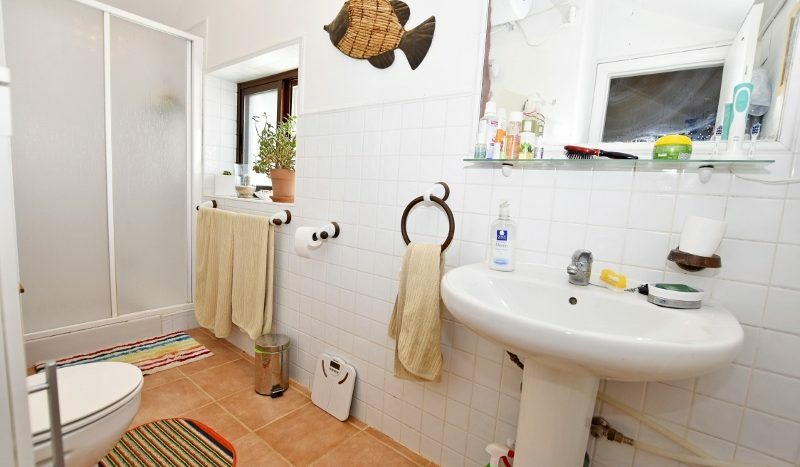 Laundry room with 12kg Samsung Eco Washing Machine & tumble dryer plus a toilet. 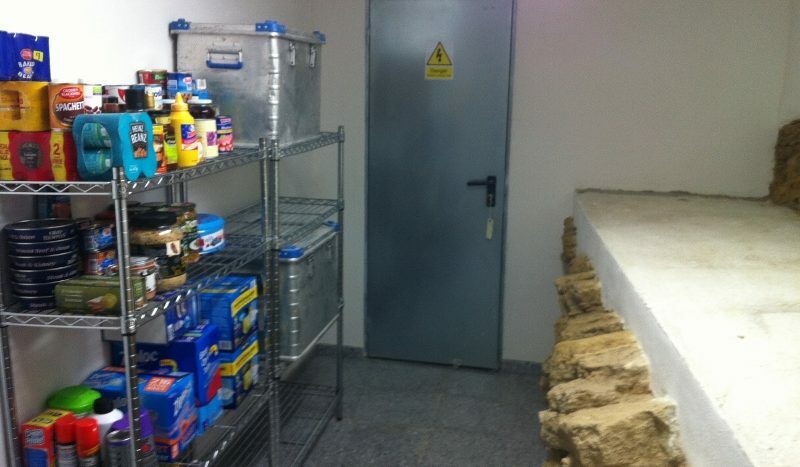 Water deposit room with water purification plant, pressurising system and a water softener system. 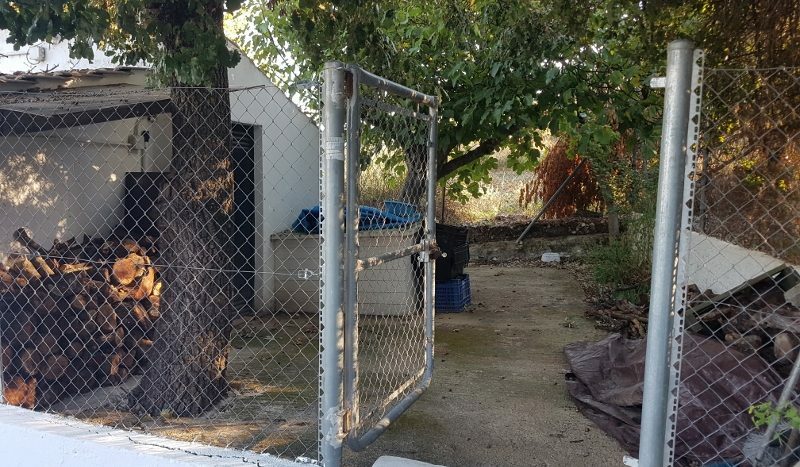 Fenced and shaded dog pen with power and water. 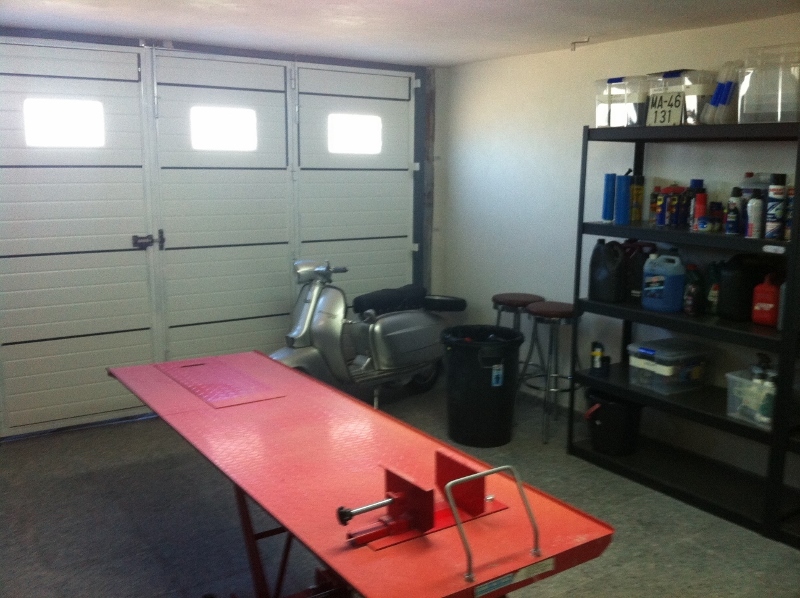 Pool house with pumps, filtration and auto dosing system for pool chemicals. 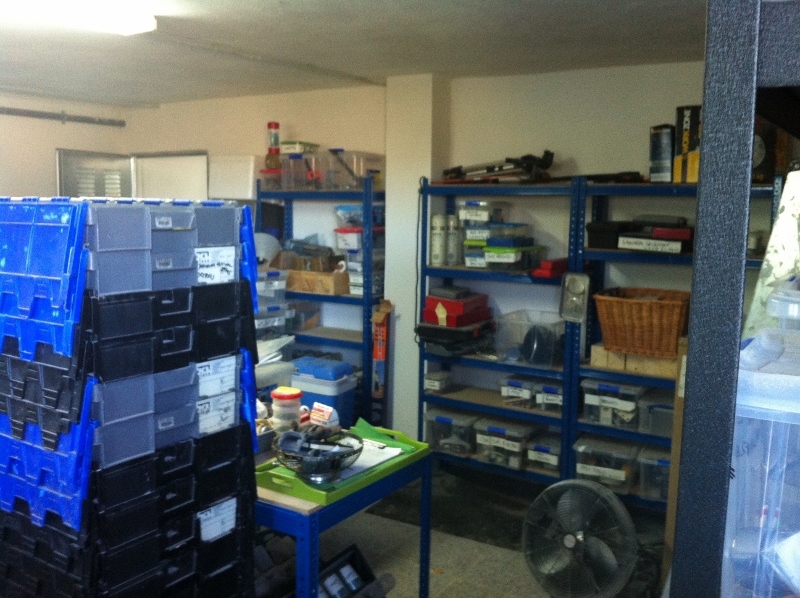 Emergency electric water heater, new Blasi Oil fired central heating boiler, 500ltr oil tank. 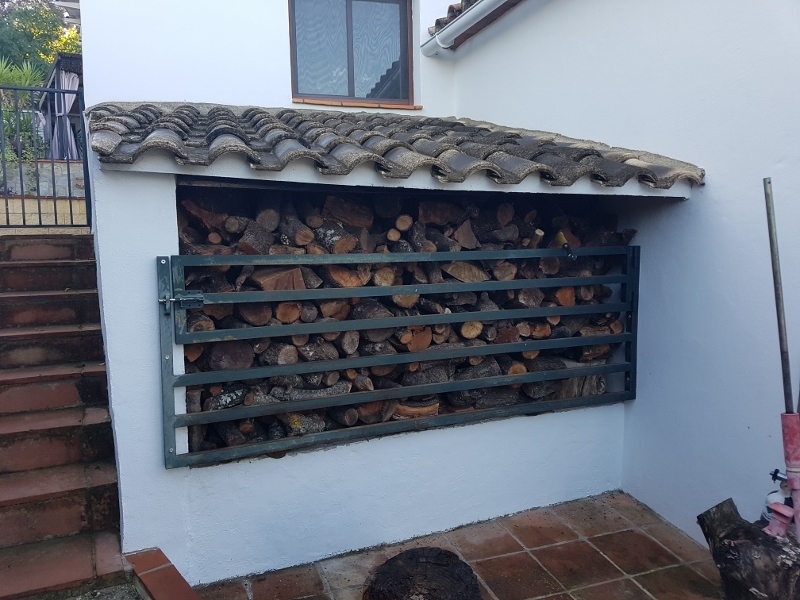 Thermally insulated gardeners shed which measures 3m x 4m. 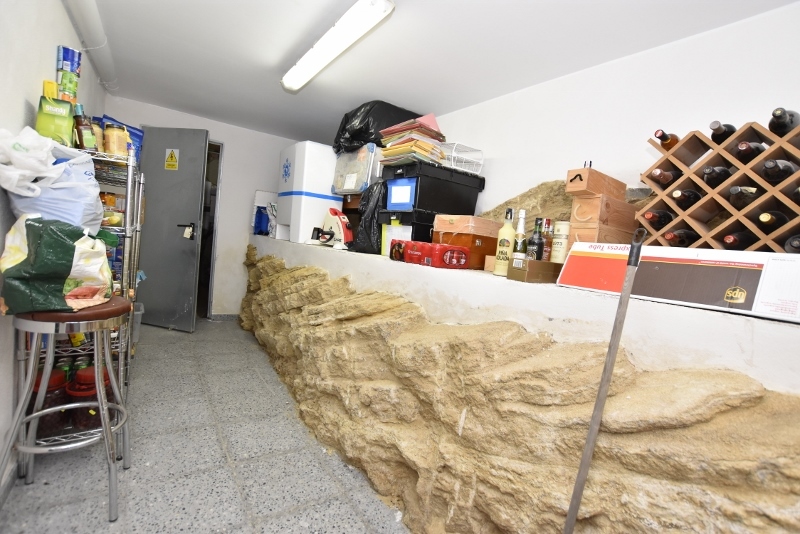 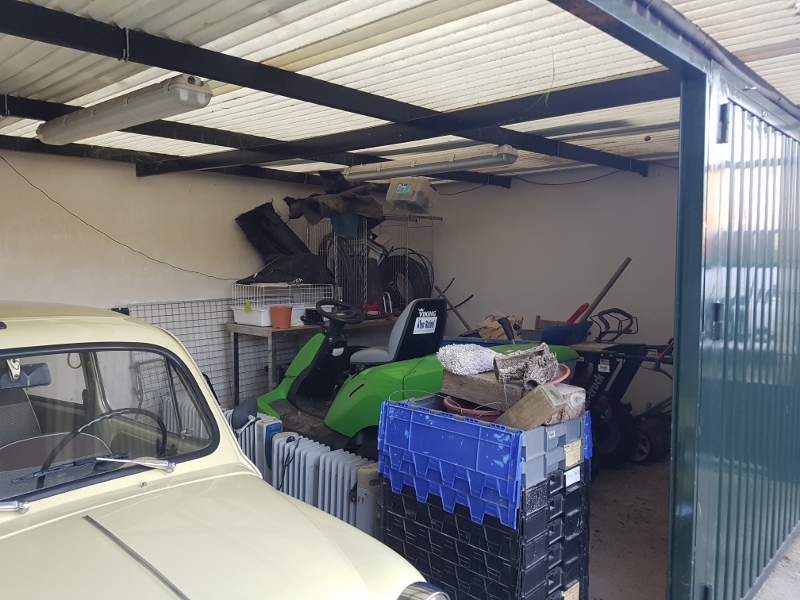 Under the house is a large 5m x 5m work shop and storage area incorporating a Solar Water heater system with control system and 500ltr storage tank. 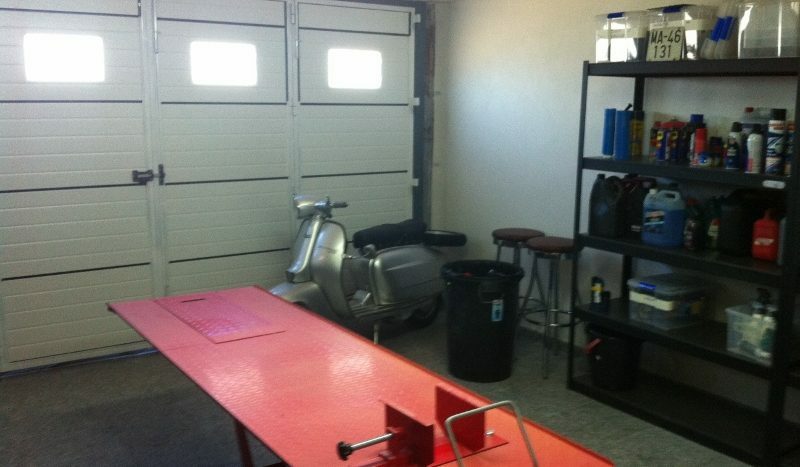 5m x 4.5m garage/workshop with full width thermal doors. 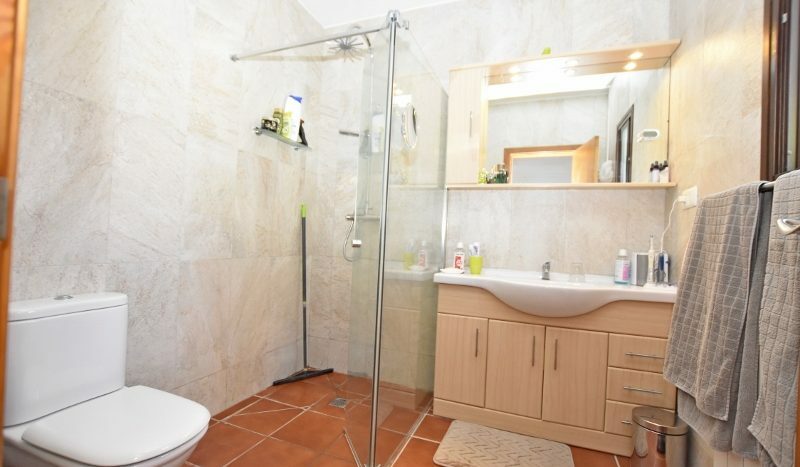 Leading to wine storage area and further separate washroom/toilet. 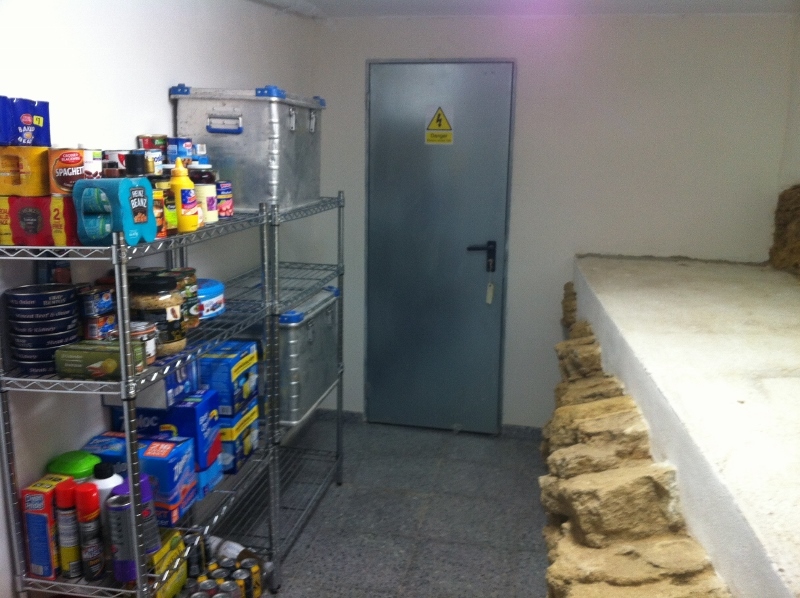 Leading to Solar PV control room and storage. 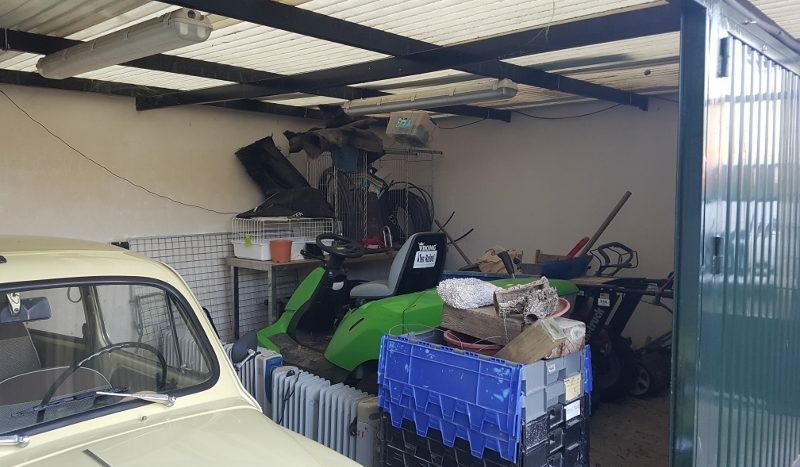 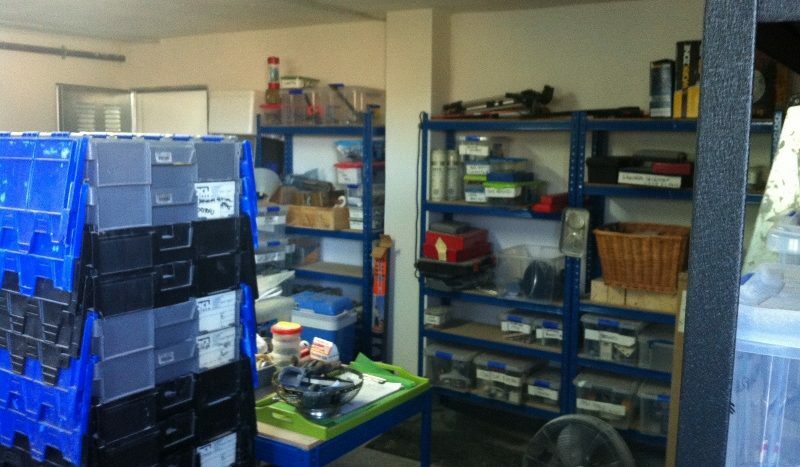 Lockable carport area for small cars, motorbikes, garden machinery. 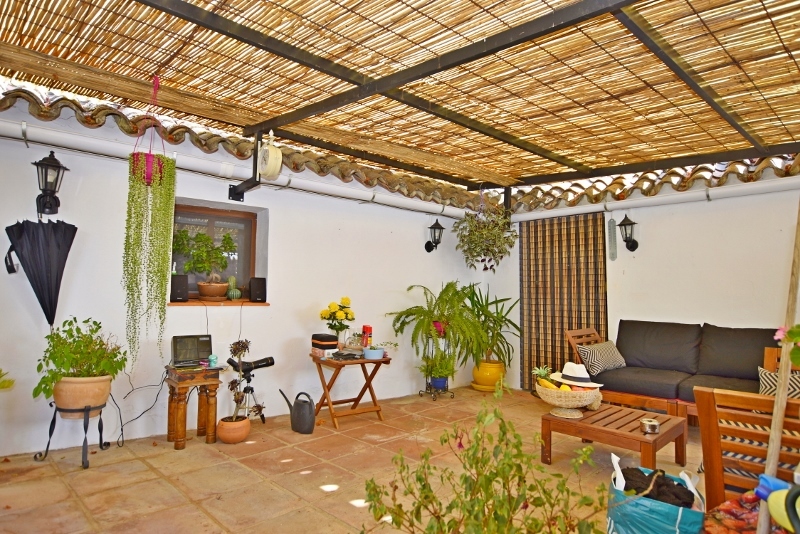 7m x 3m. 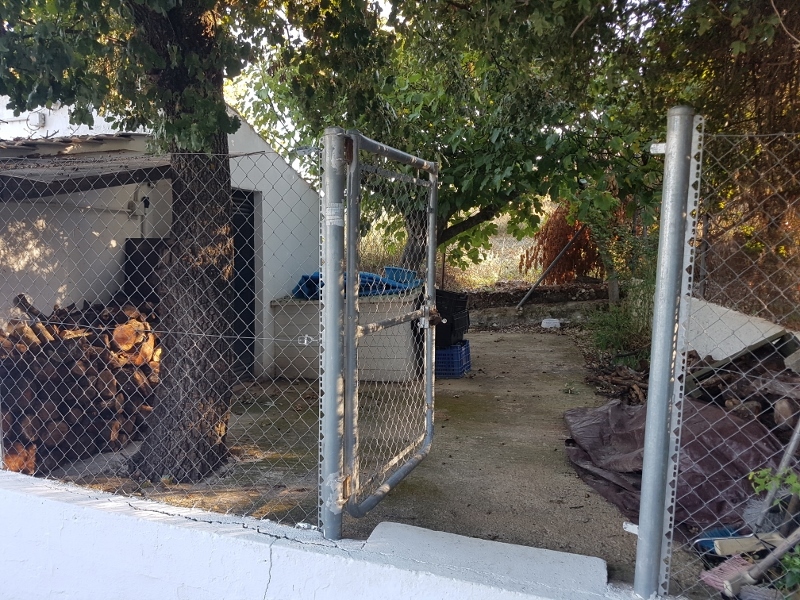 A shaded 10m x 4m chicken run with three coops. 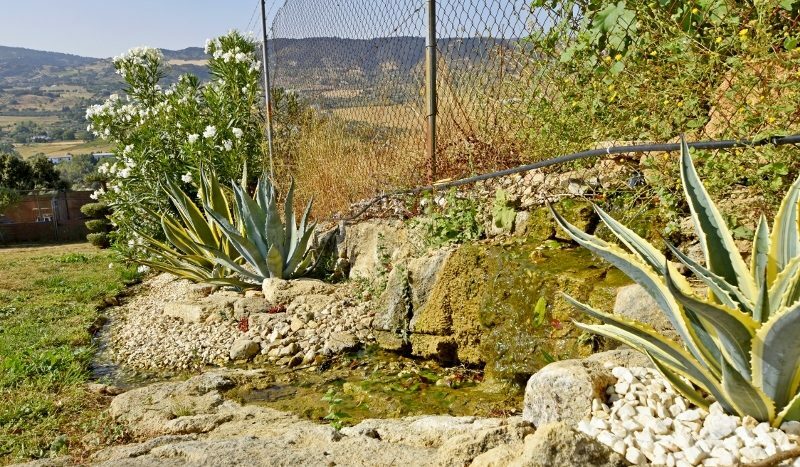 Water, lighting and power. 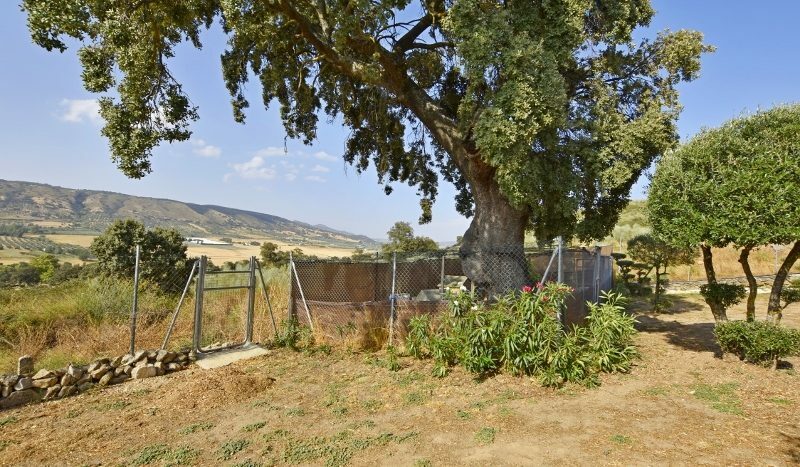 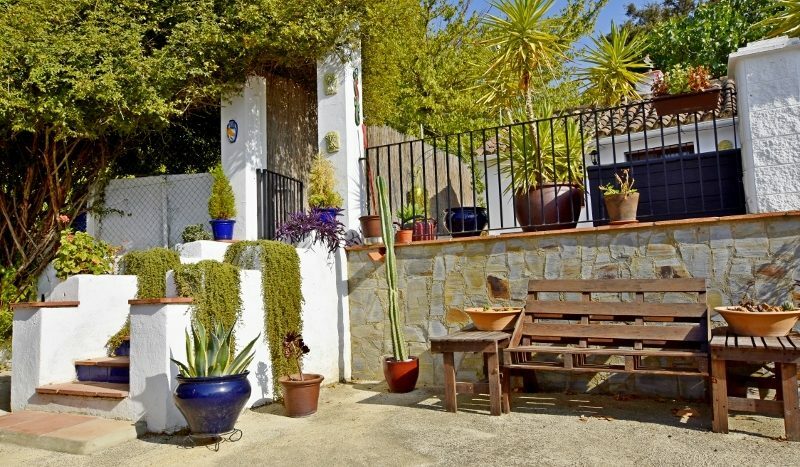 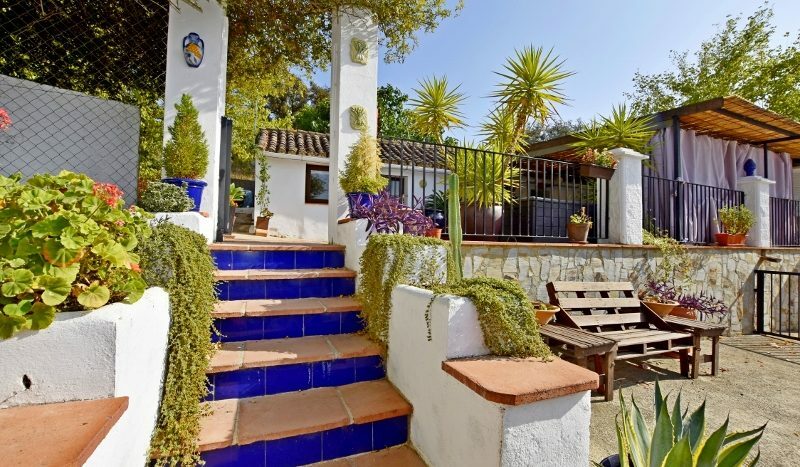 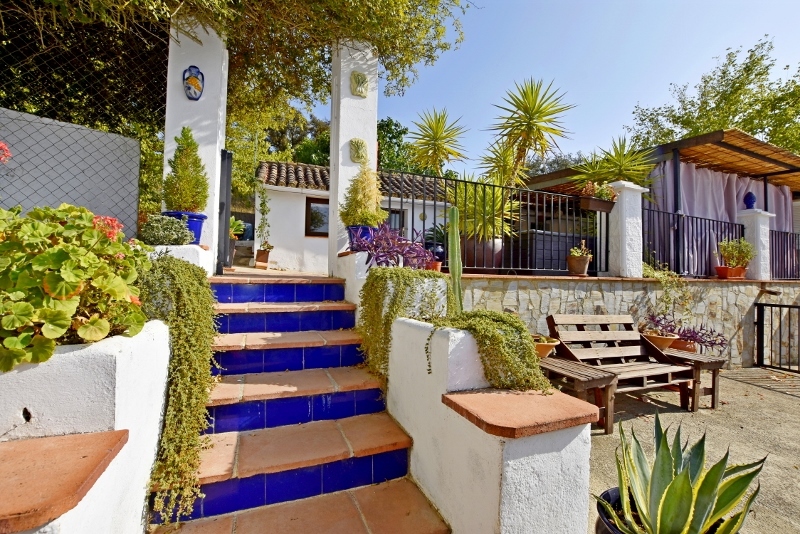 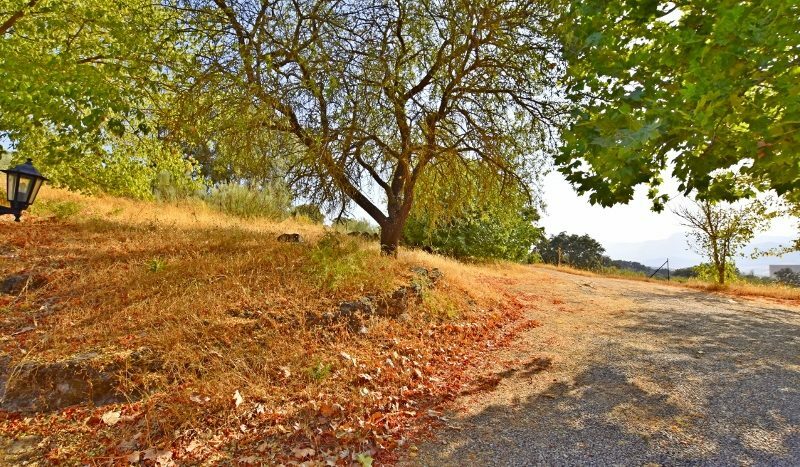 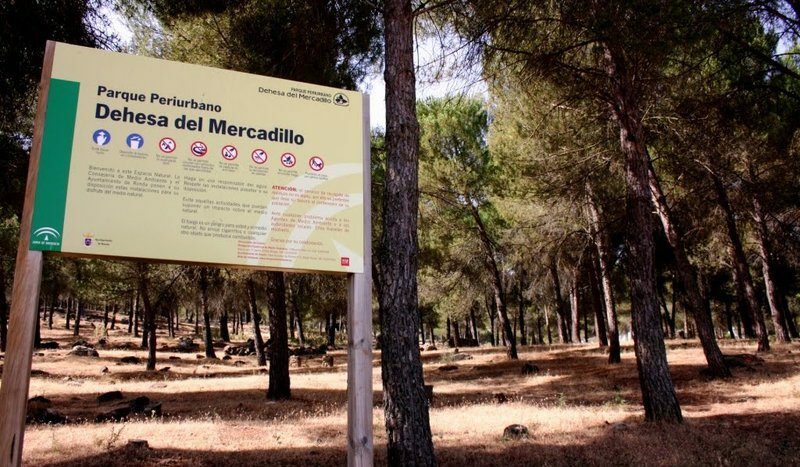 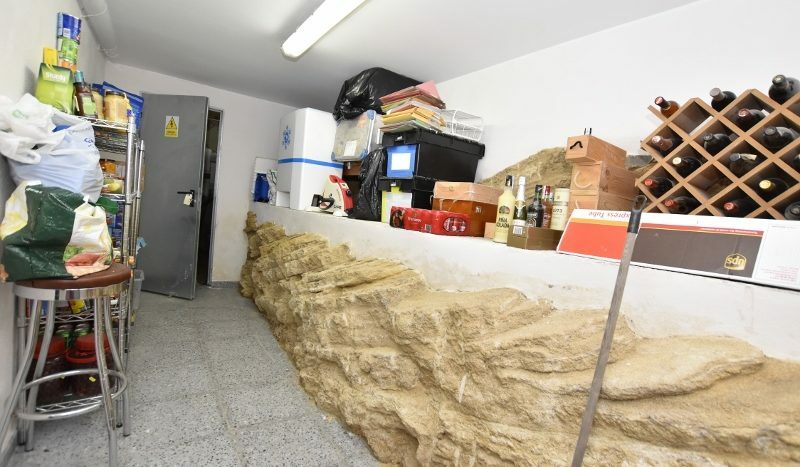 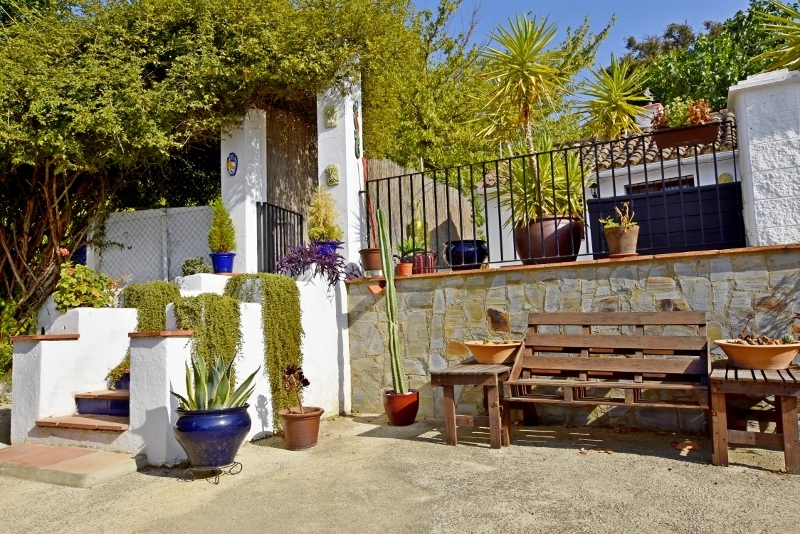 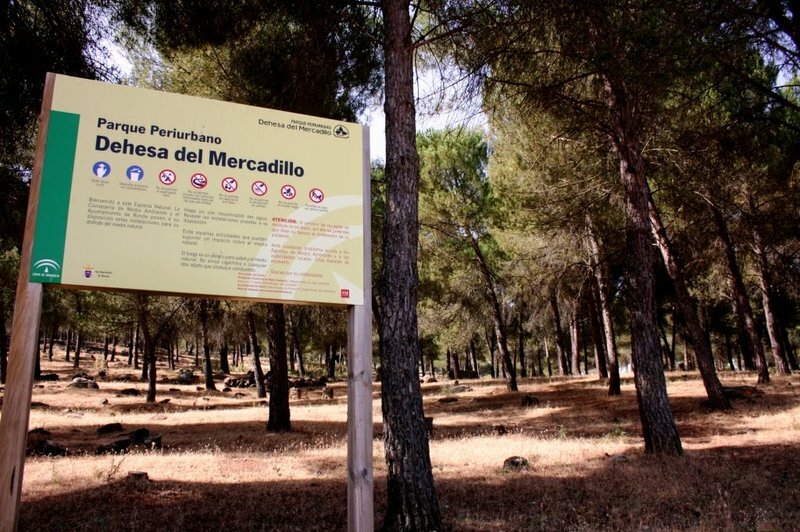 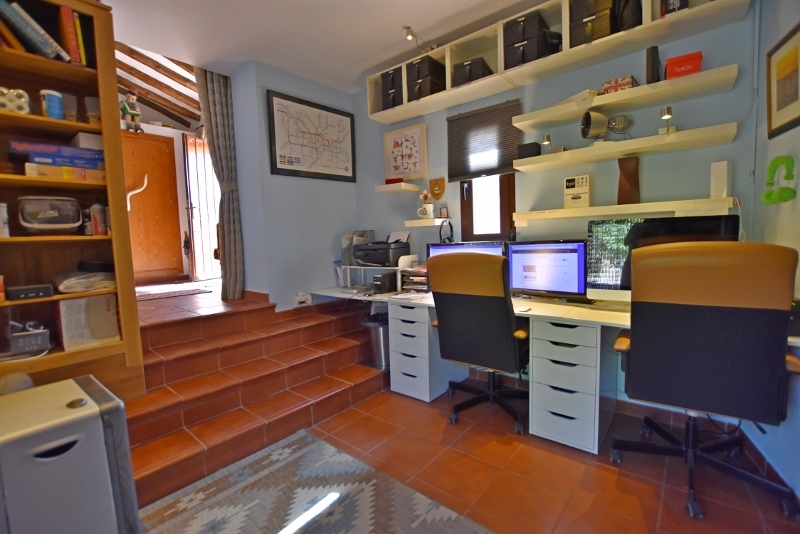 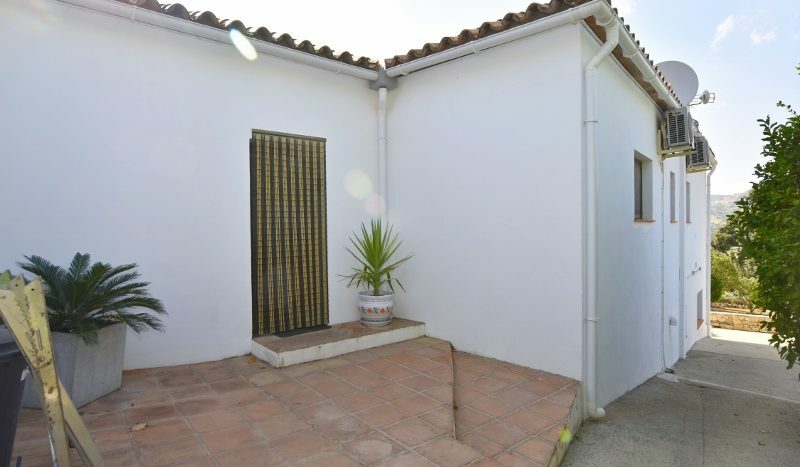 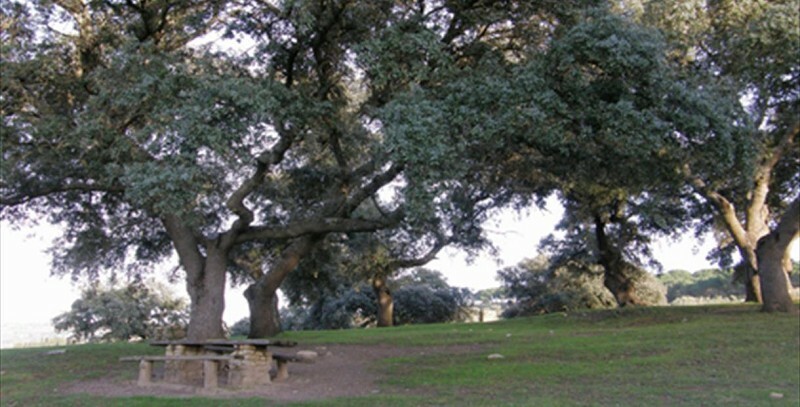 The access to the property is along a maintained track of 250m from the main Ronda to Seville road. 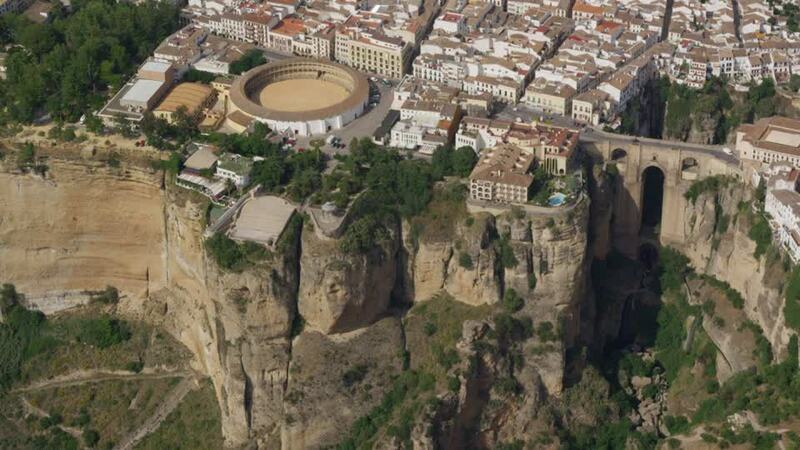 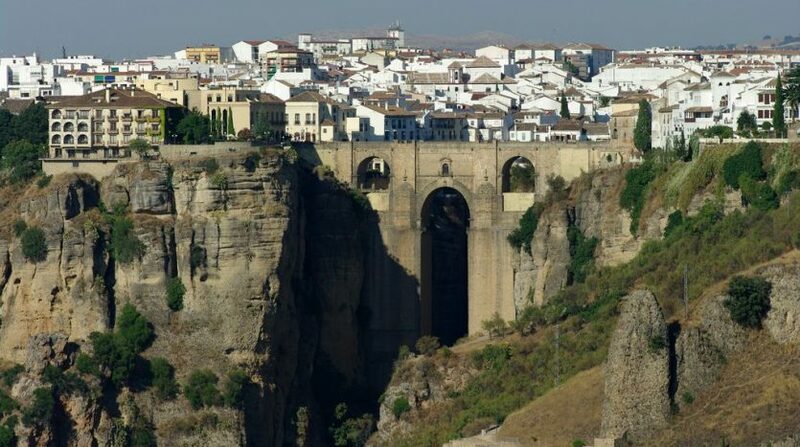 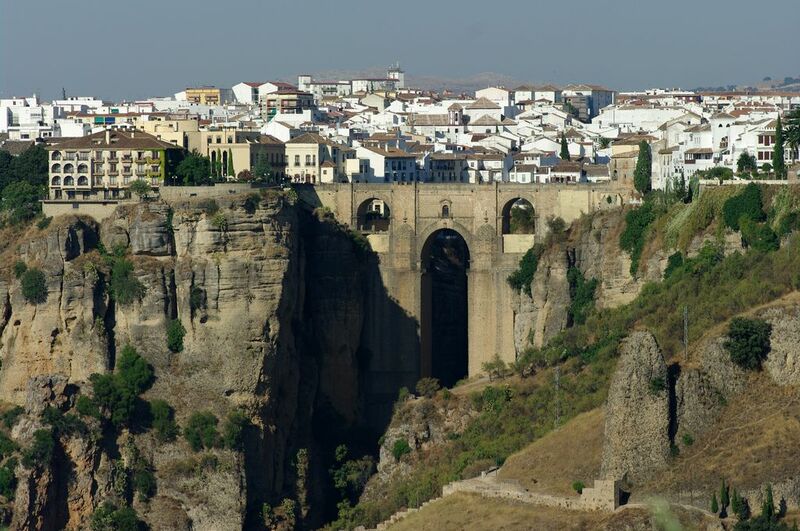 The city of Ronda is just 3mins drive away and offers a huge array of facilities and services including shops, restaurants and cultural opportunities. 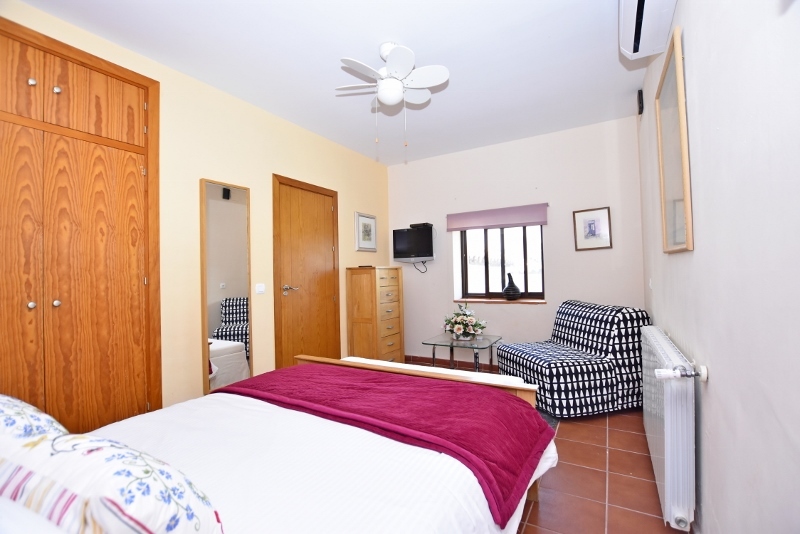 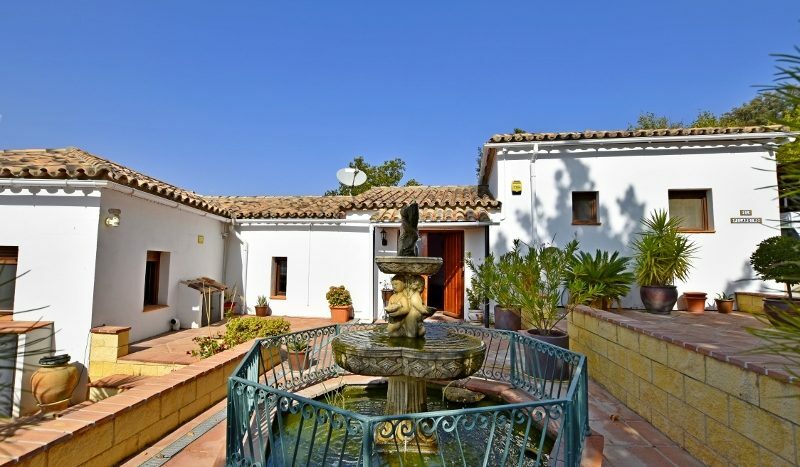 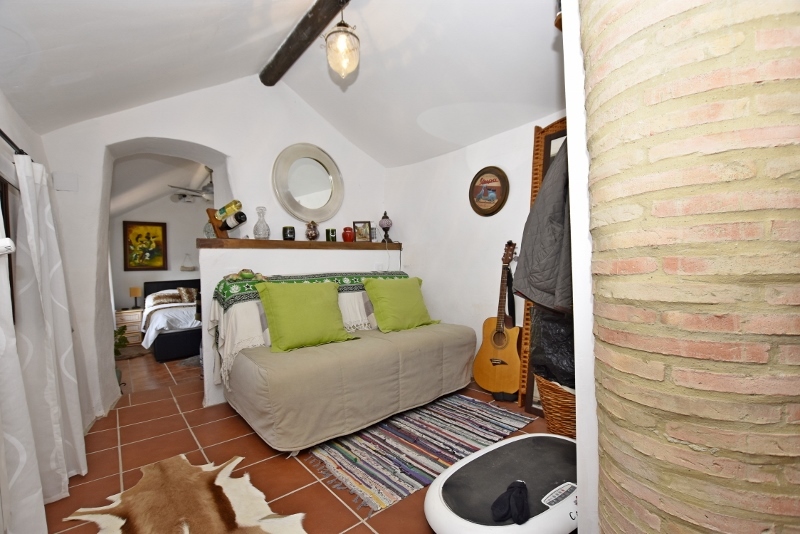 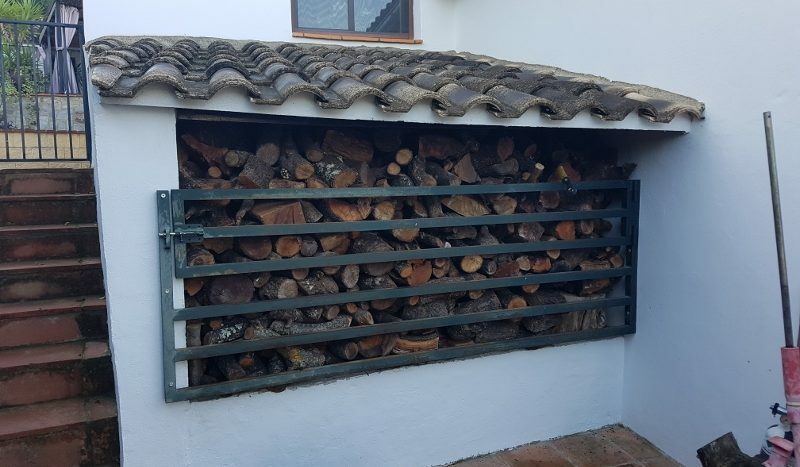 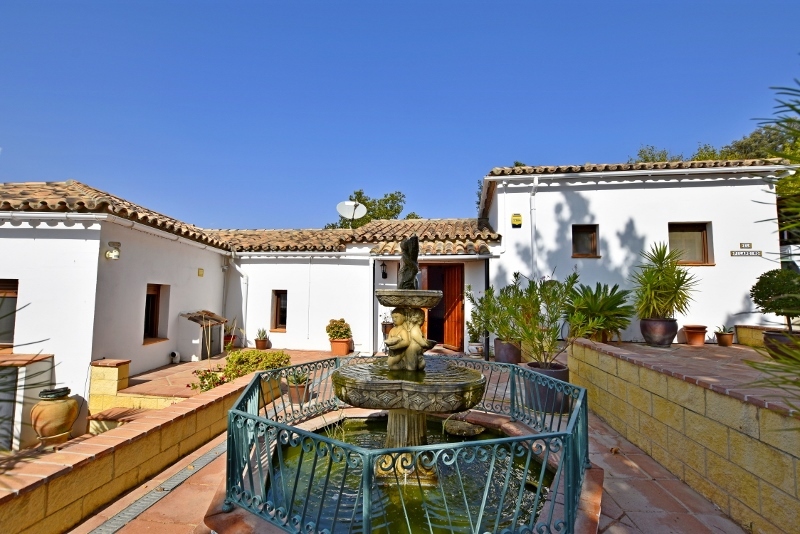 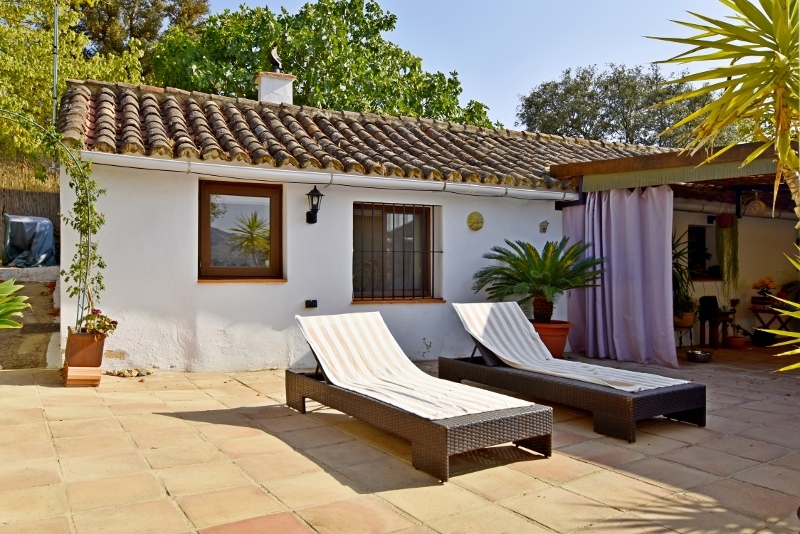 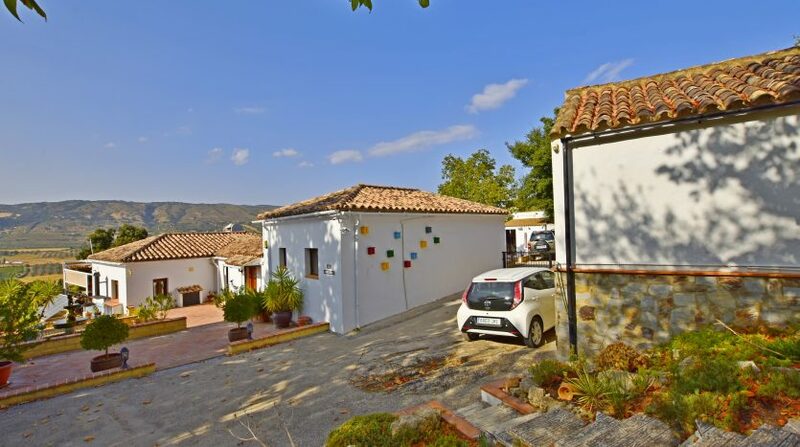 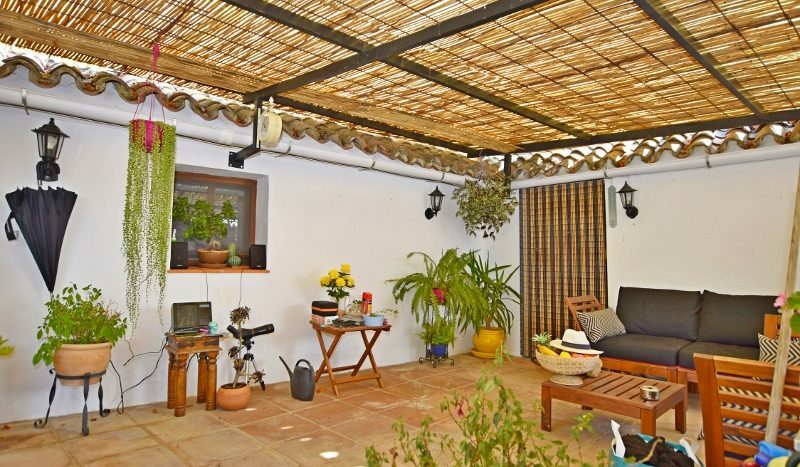 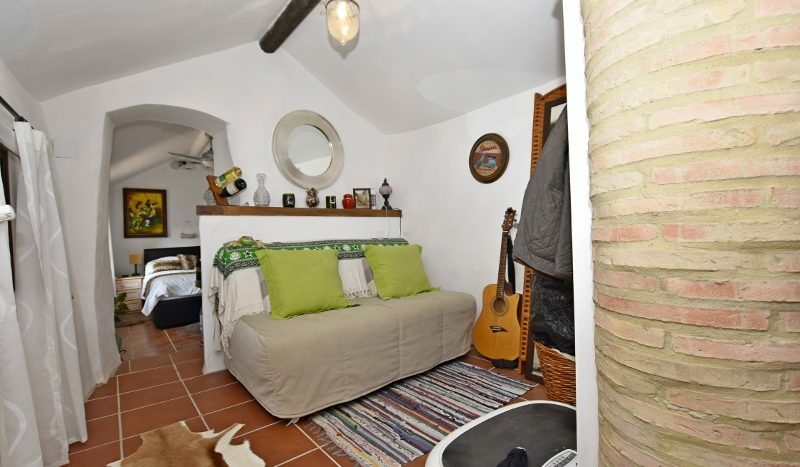 Ronda has long been a popular destination and attracts visitors from across the world – it is rare to find a property such as this which is so close to the town and yet, offers such a tranquil location. 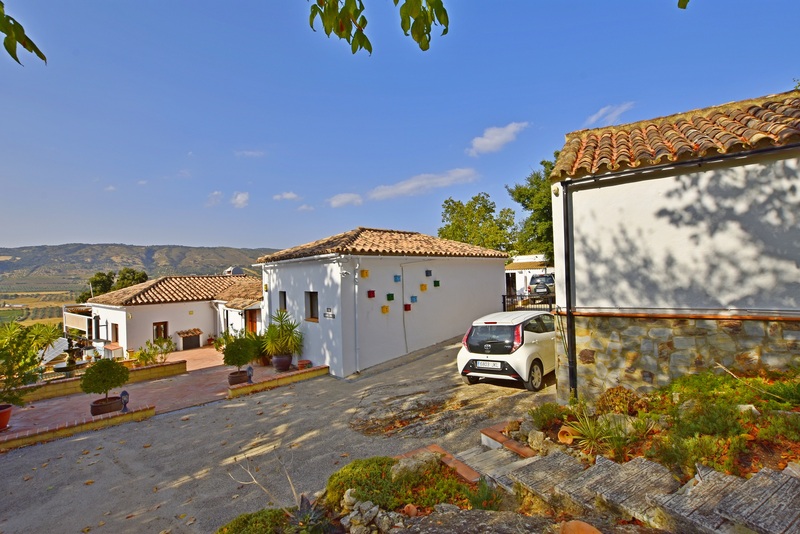 Many country homes close to Ronda will be 10-15mins drive from the town and often down a bumpy and long track! 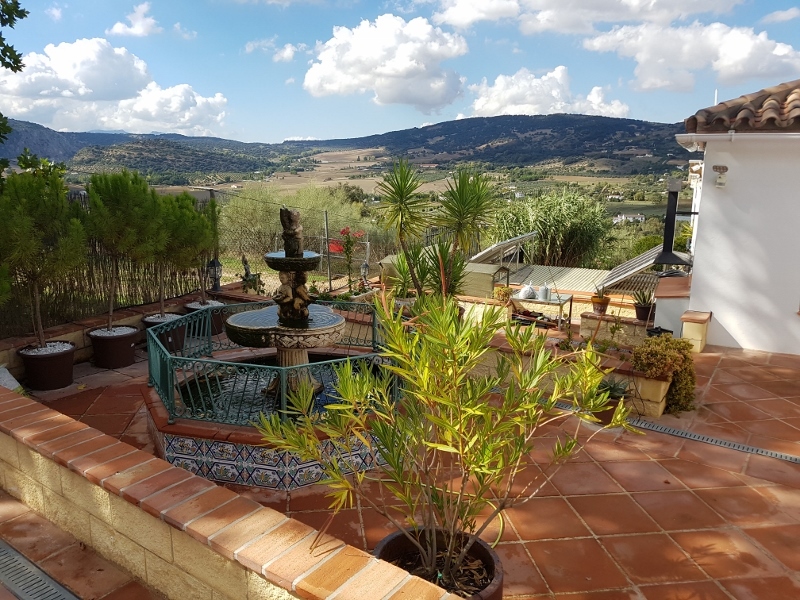 The Sierra de Ronda offers a wilderness which is enjoyed by many – nature lovers, walkers, cyclists and even rock climbers and bird watchers – there is something for everyone in this beautiful region. 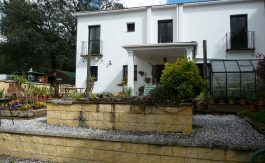 For Sale direct from the Owner! 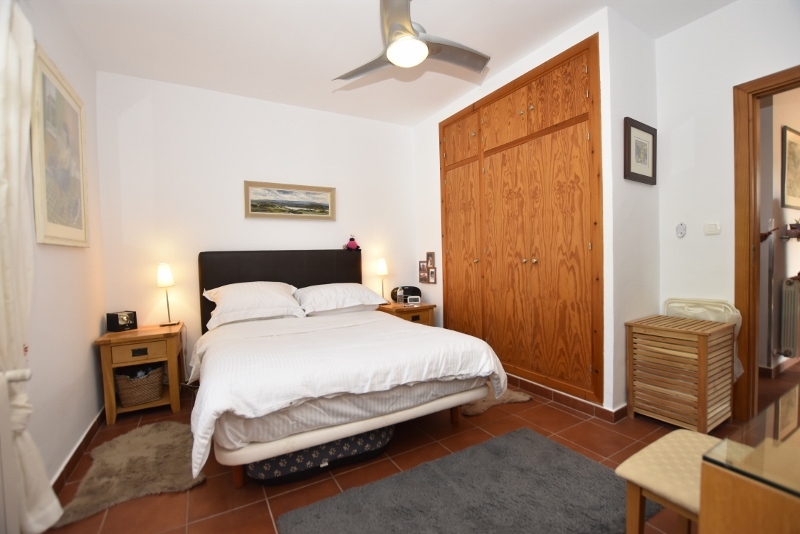 A beautifully presented spacious 2 bedroom, 2 bathroom apartment with Sea Views. 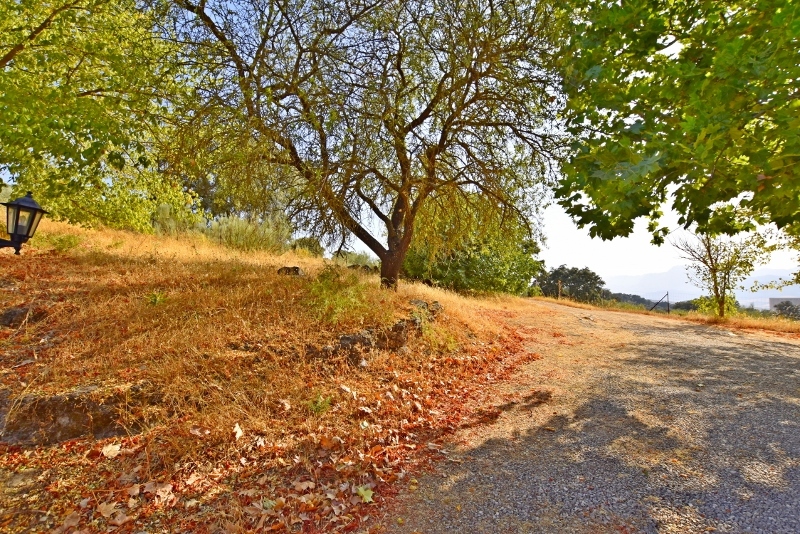 Walk in condition..